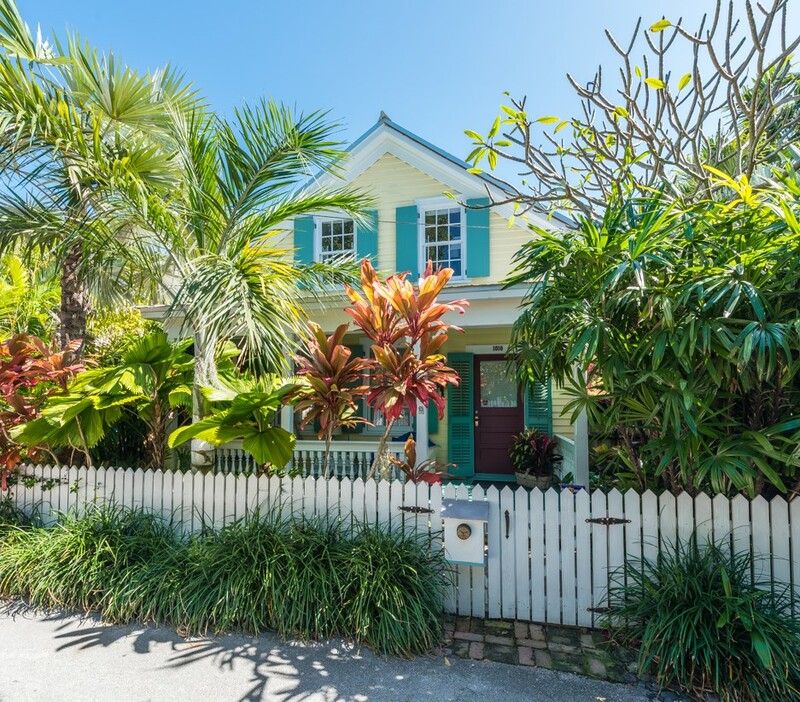 1800 Venetia Street, Key West, FL 33040—$989,000.—SOLD $968,250. 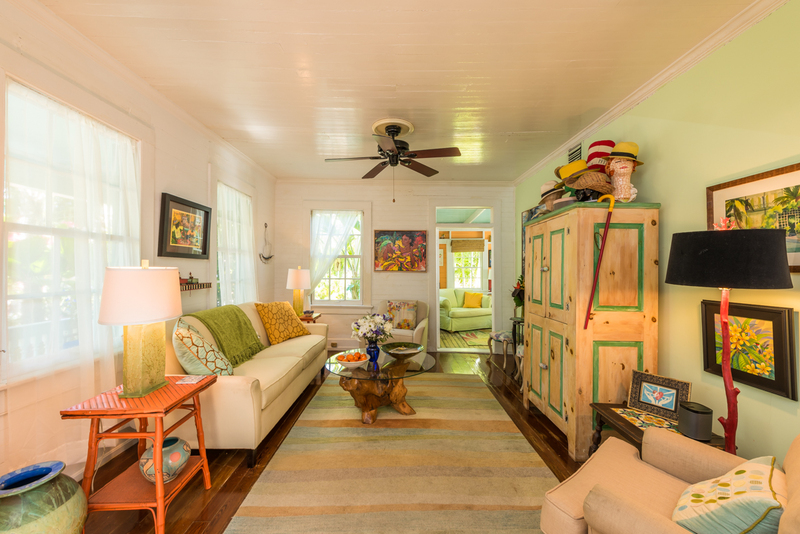 Invite the whole gang down for a tropical island escape! 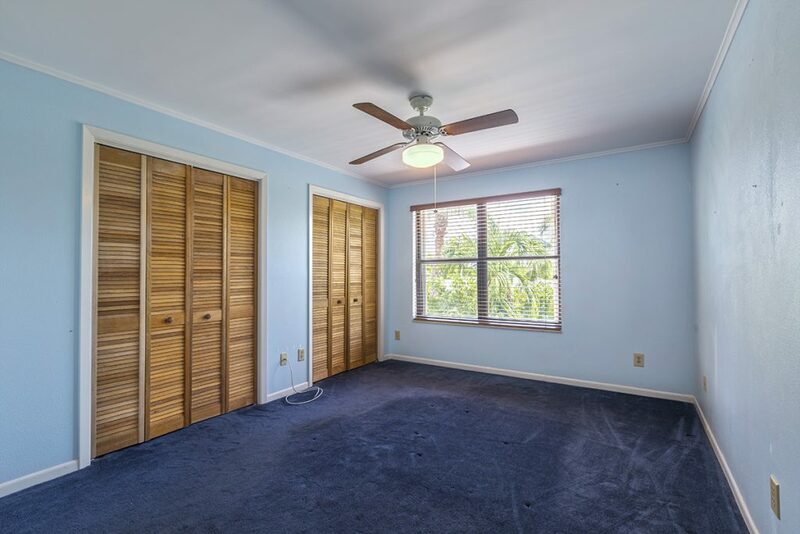 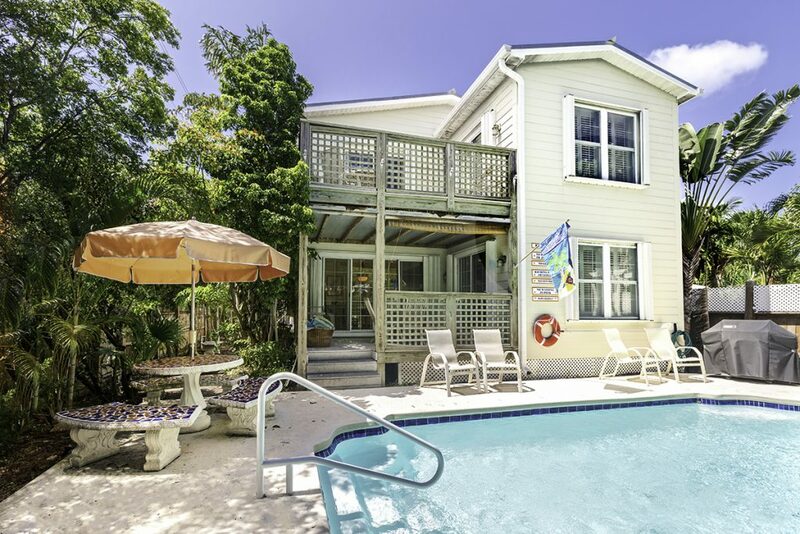 There will be plenty of room for everyone in this spacious, 2,688 square foot, five bedroom and five and one half bath, Key West family retreat. 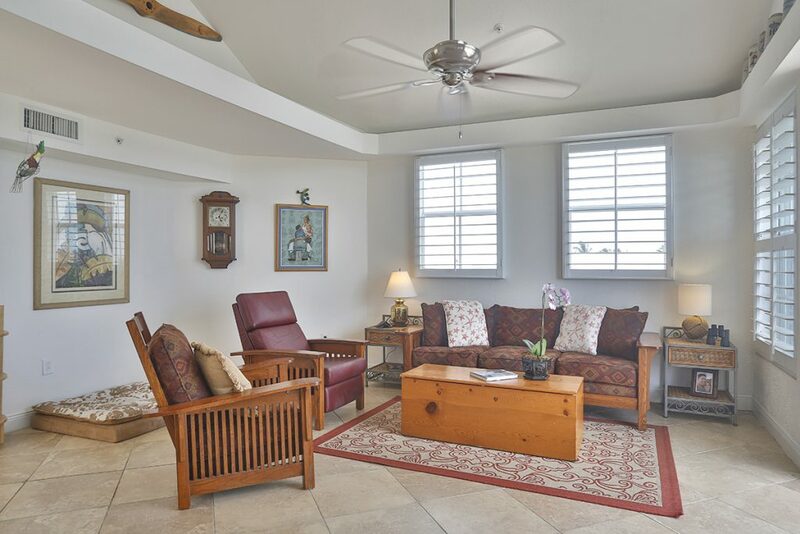 The home’s well-designed first floor features a formal living room, spacious bedroom with en suite bath, generous storage, powder room, large open-concept kitchen/dining/family room, and a covered porch overlooking the sparkling pool. 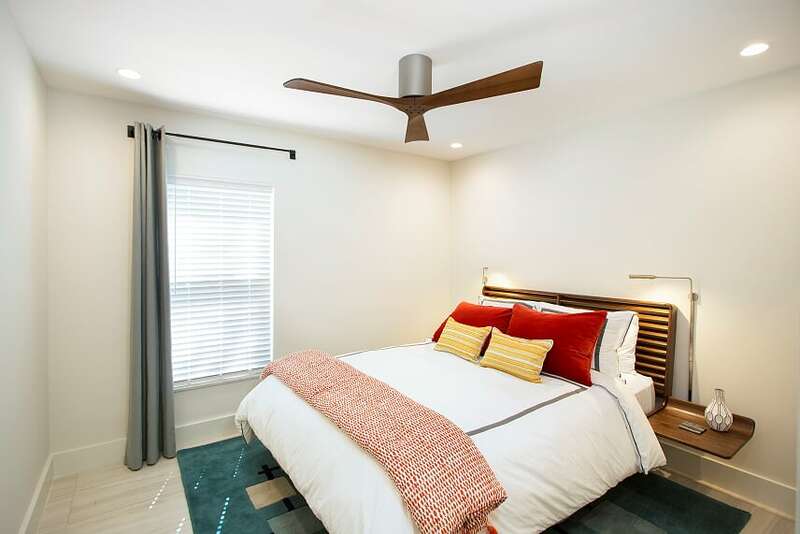 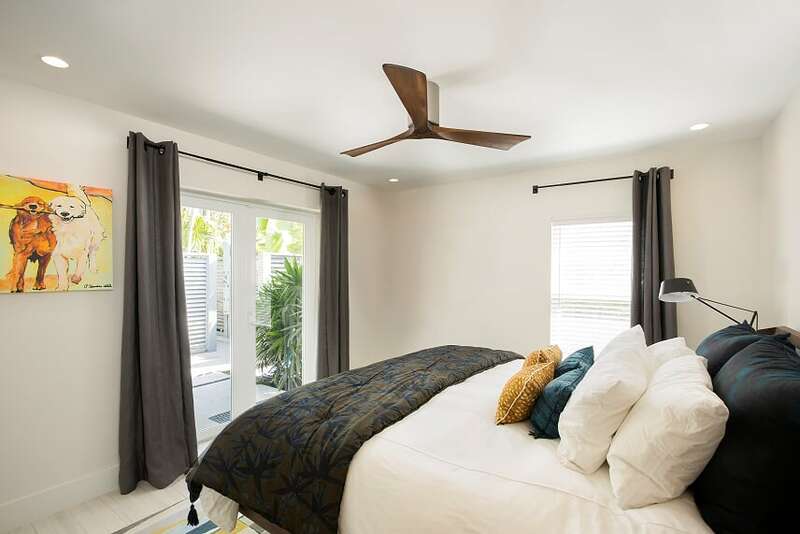 Light and bright, the upstairs offers three roomy bedrooms with en suite baths, laundry, storage, and tempting sundeck off the king-sized master suite. 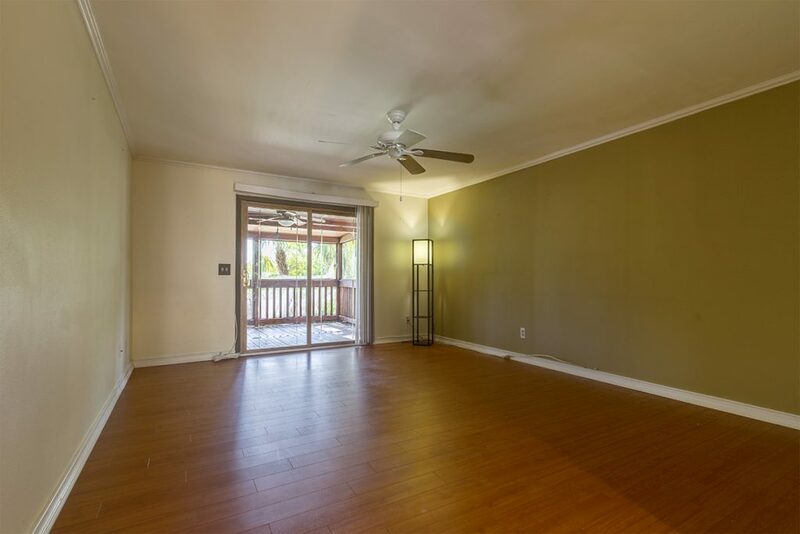 The formal living room welcomes you home. 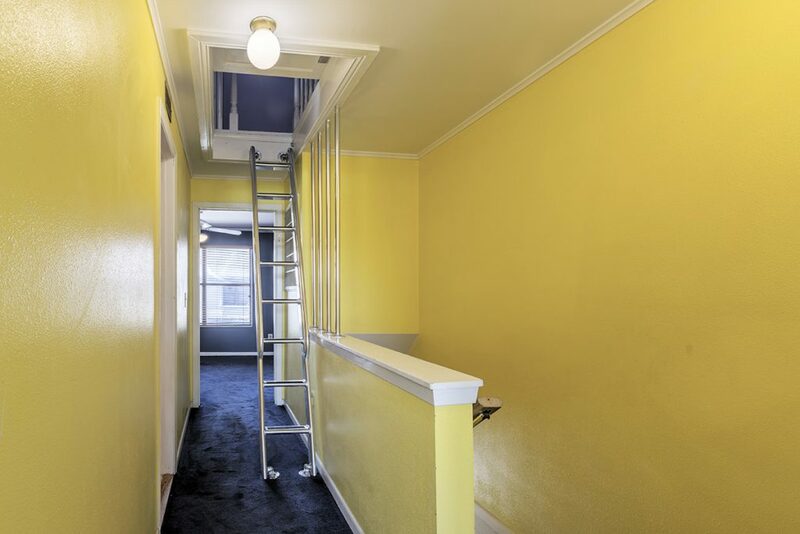 A must-have, the spacious ground floor bedroom with en suite bath will be appreciated by friends and relatives not up for climbing the stairs. 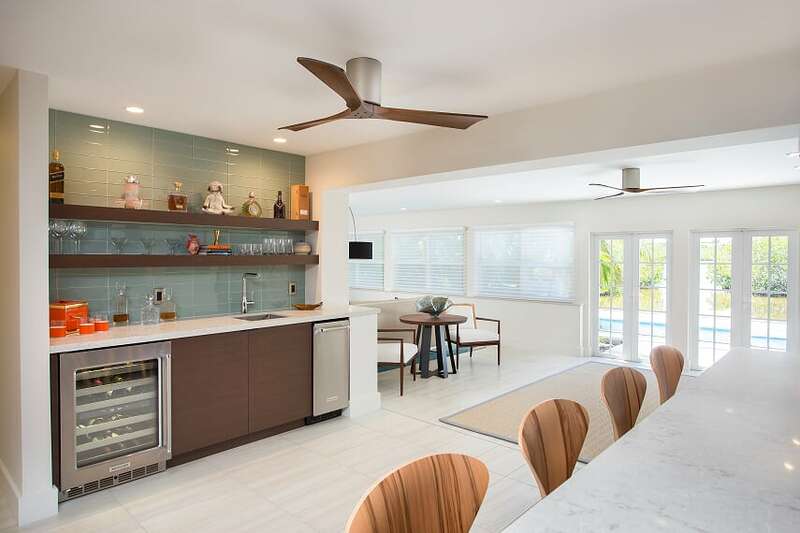 The open plan design of the kitchen, family room, and dining room is perfect for entertaining and creating lasting memories. 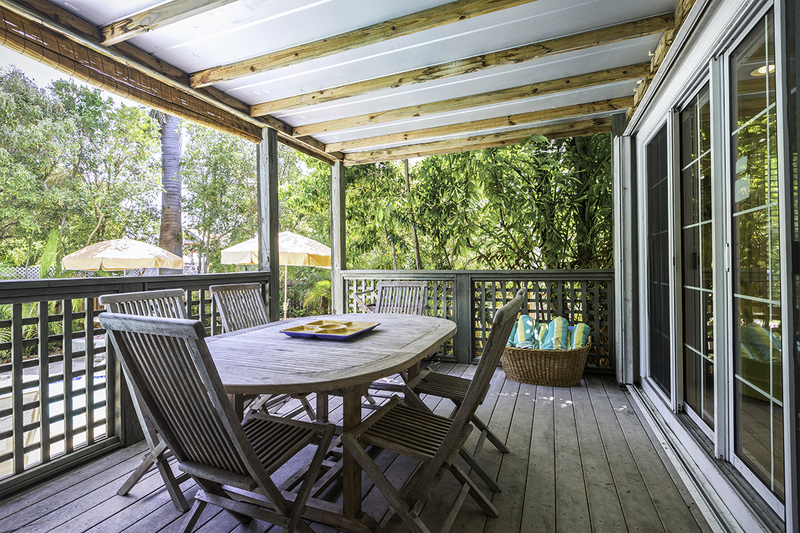 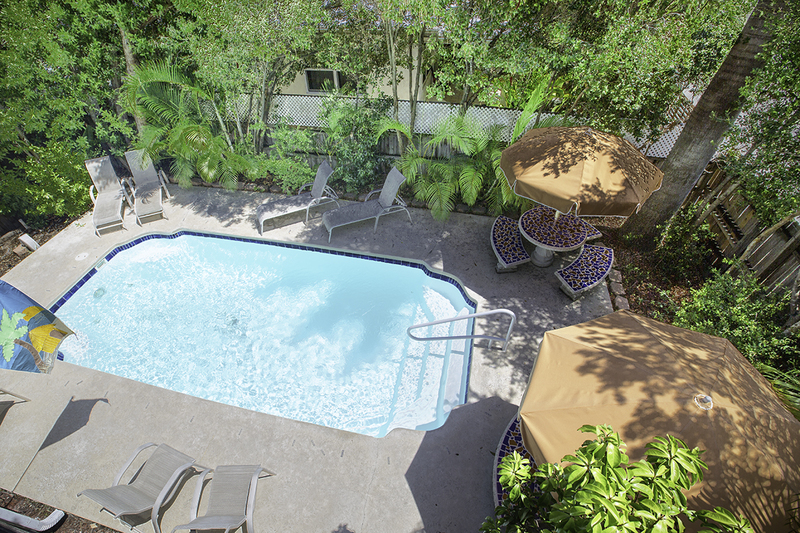 Overlooking the tropical pool, enjoy delightful conversations with dinner and drinks on the covered porch. 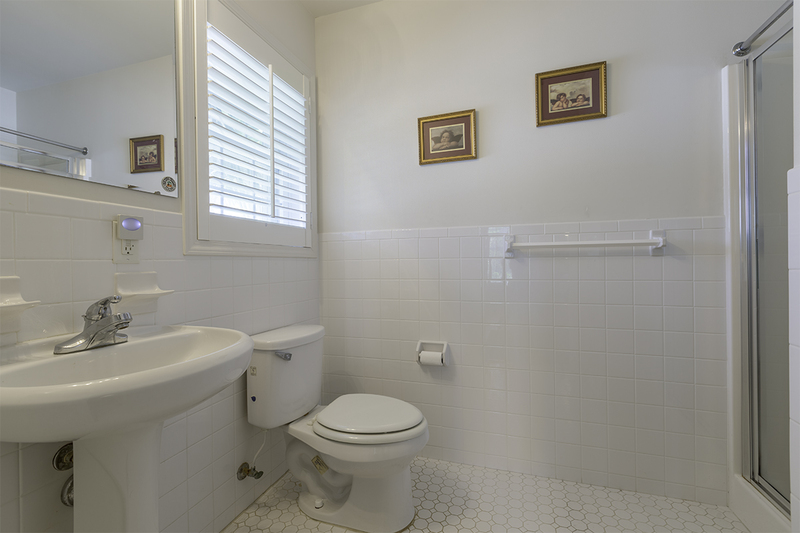 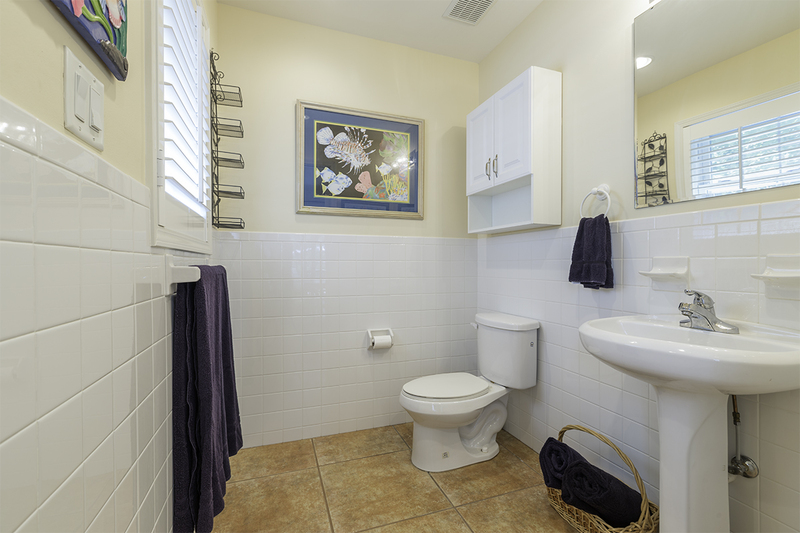 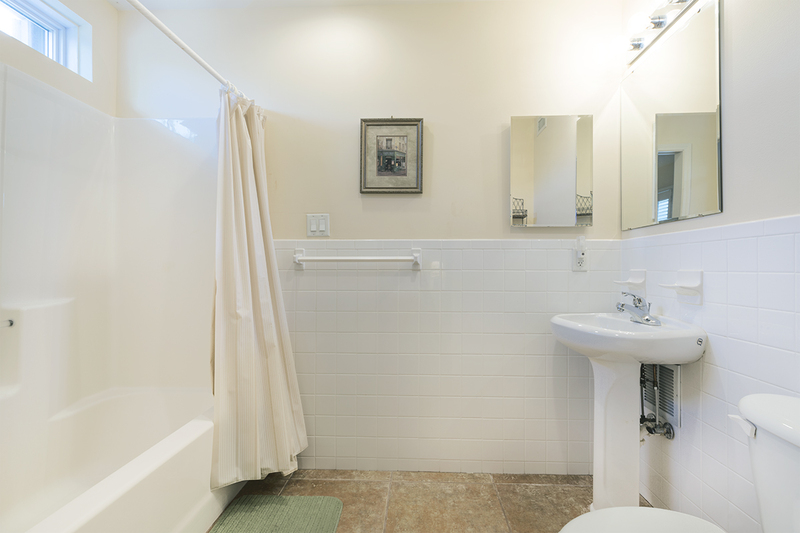 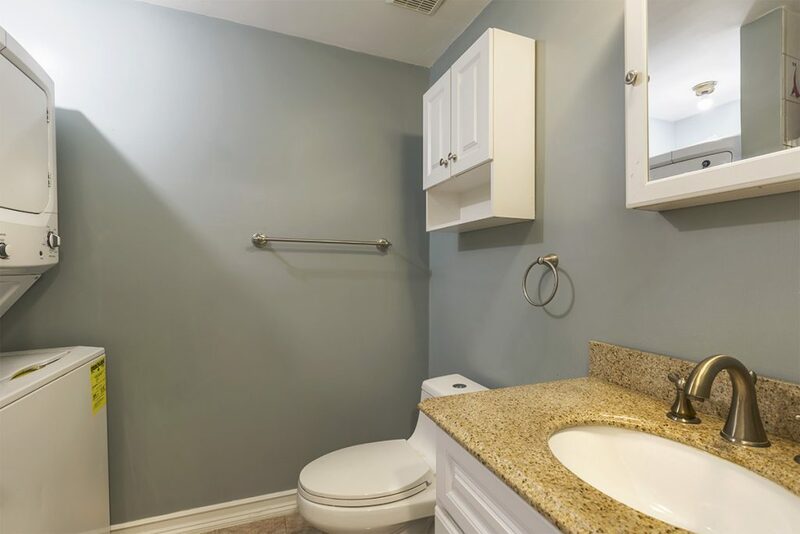 The downstairs powder room is perfect for guests. 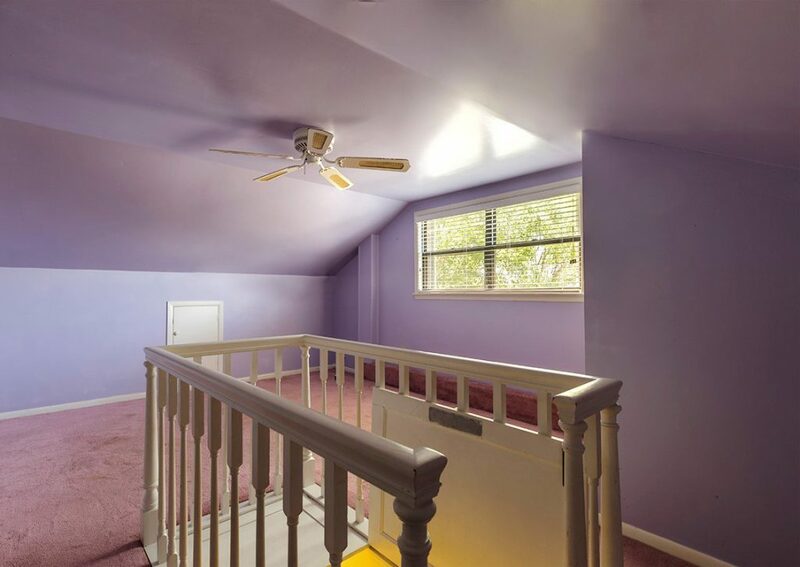 The laundry, storage closet, and attic access is off the upstairs hallway. 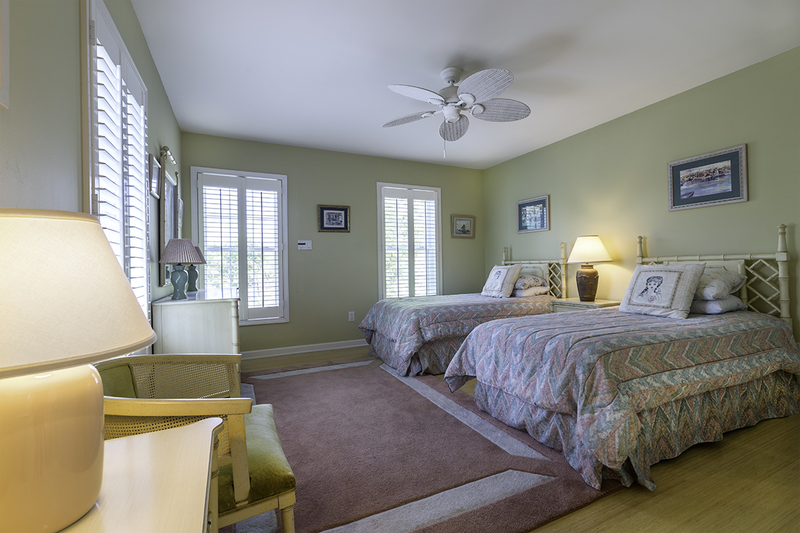 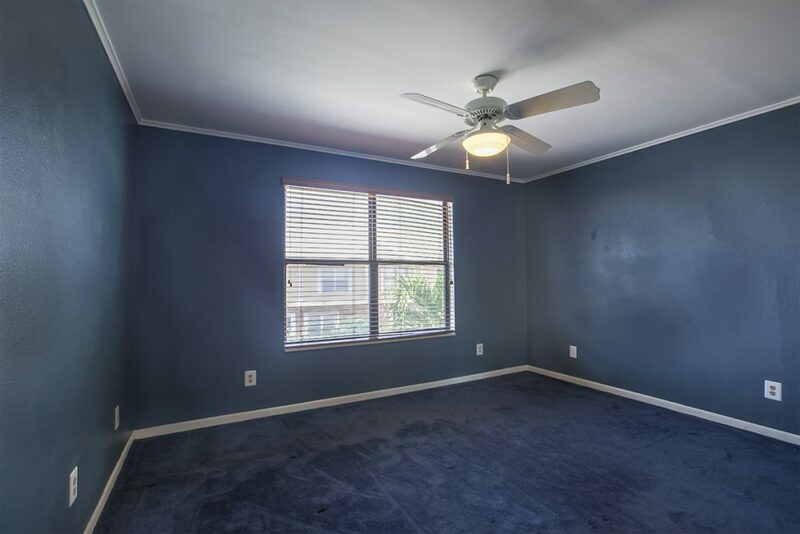 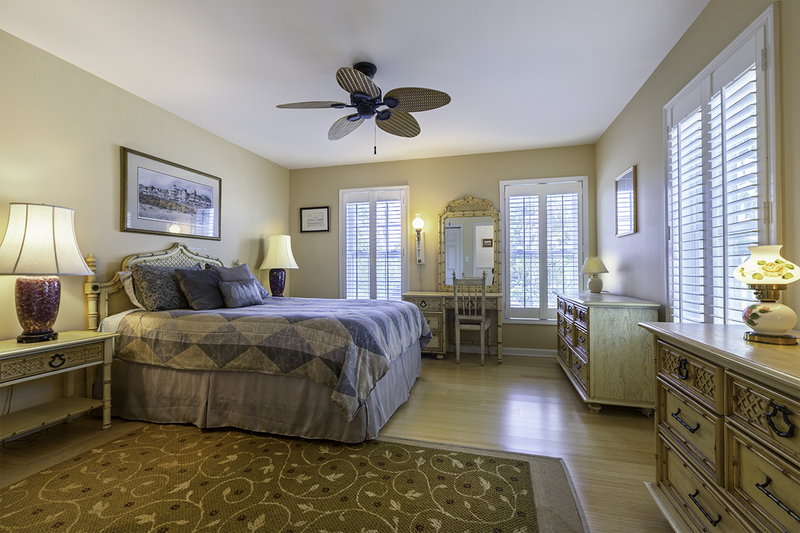 The two upstairs front bedrooms are light-filled and inviting. 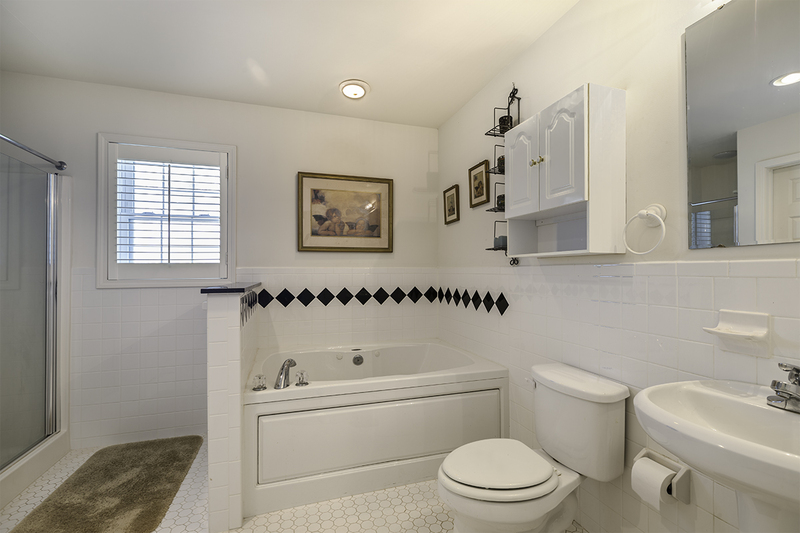 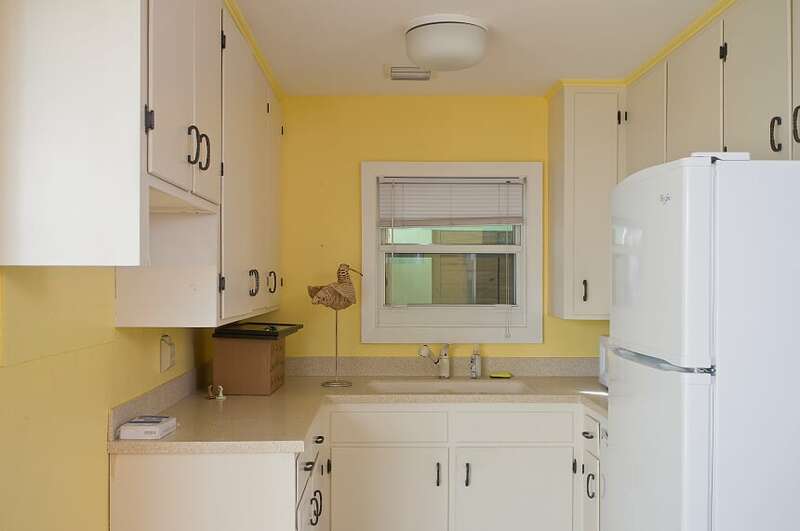 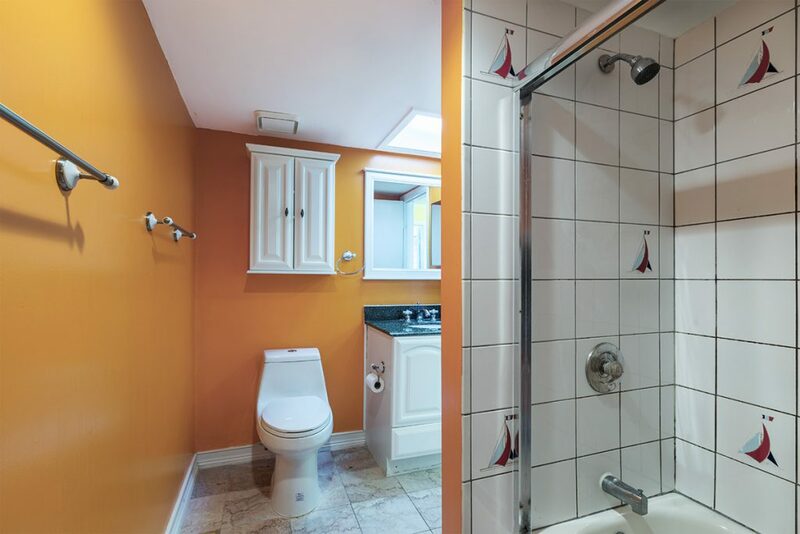 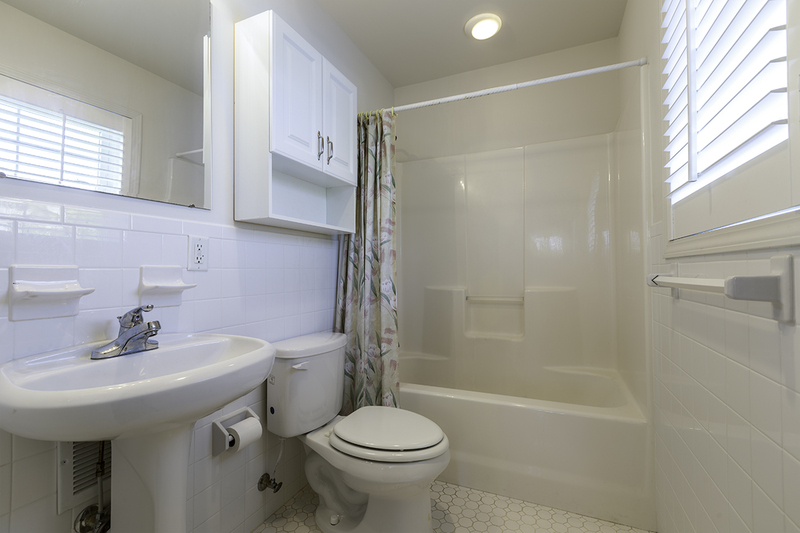 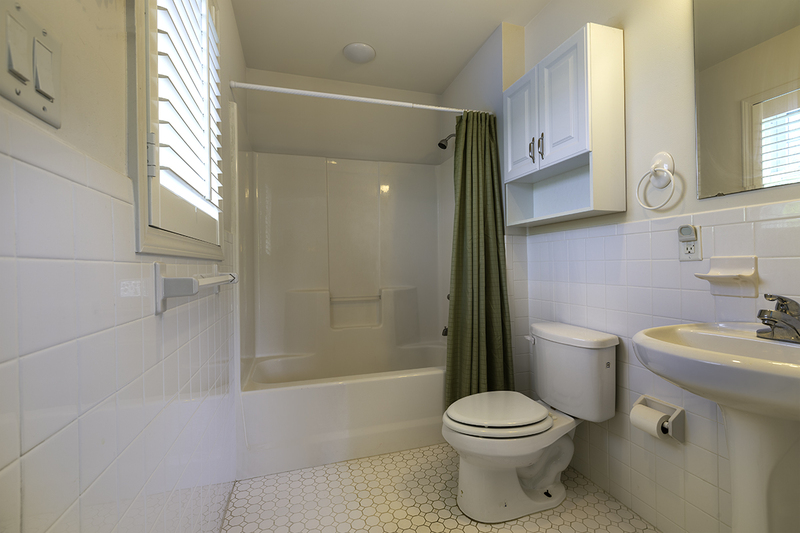 Each one features a sunny, white, en suite bathroom. 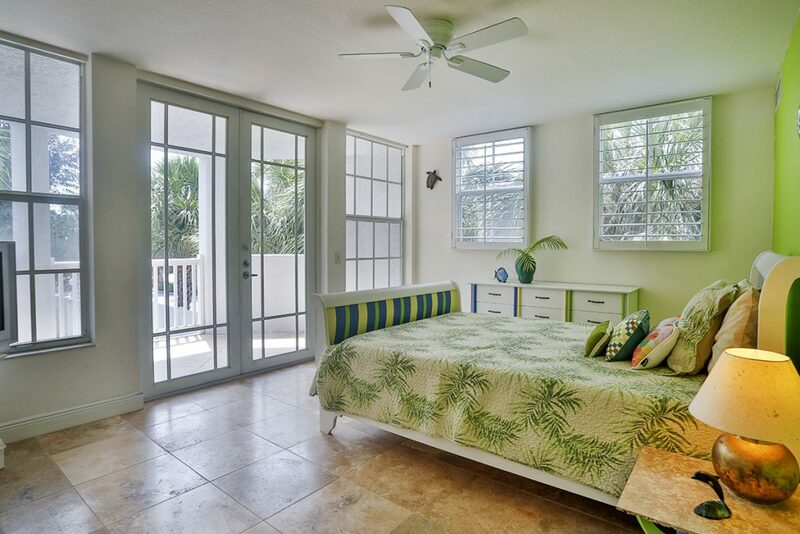 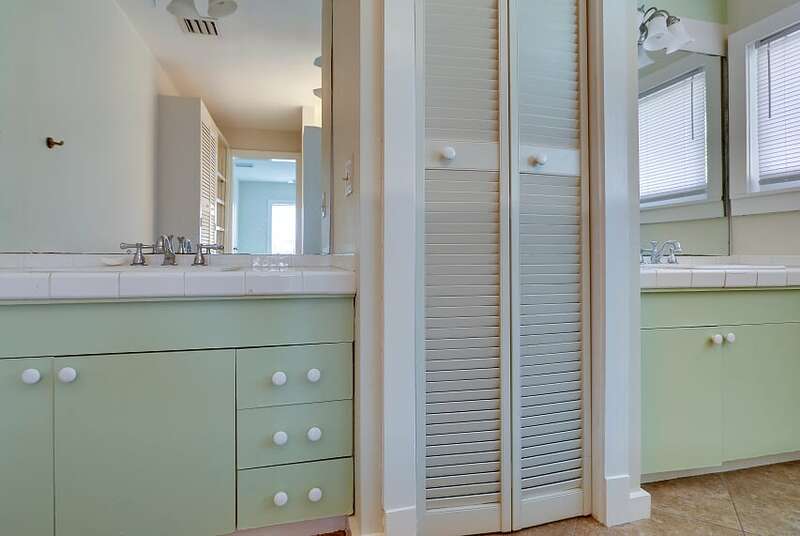 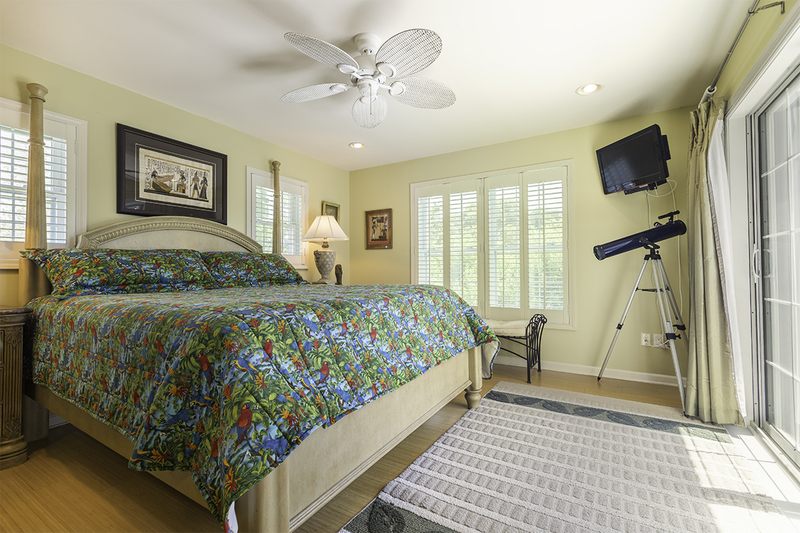 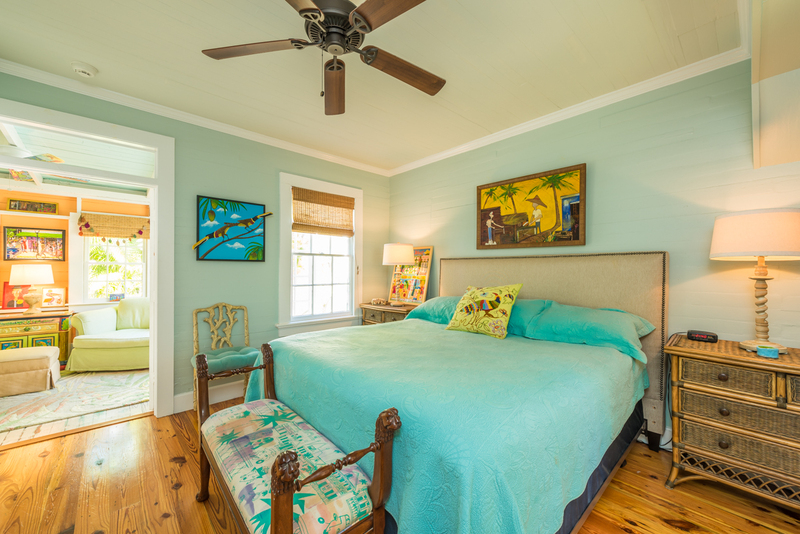 Set apart from the other bedrooms, the large master suite is decked out with beautiful plantation shutters (like all the rooms) and opens to a wonderful deck for catching some rays and enjoying the island’s renowned sunsets. 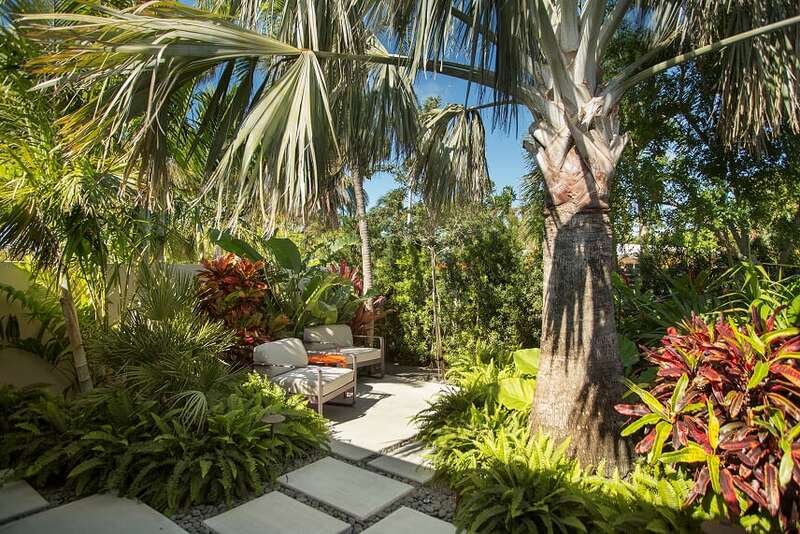 Savor paradise in your own backyard. 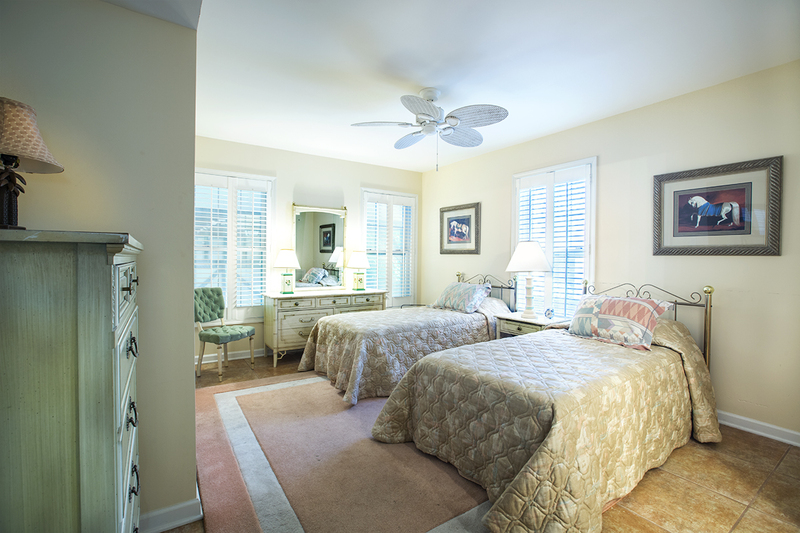 Just off the sundeck, the fifth bedroom is filled with light. 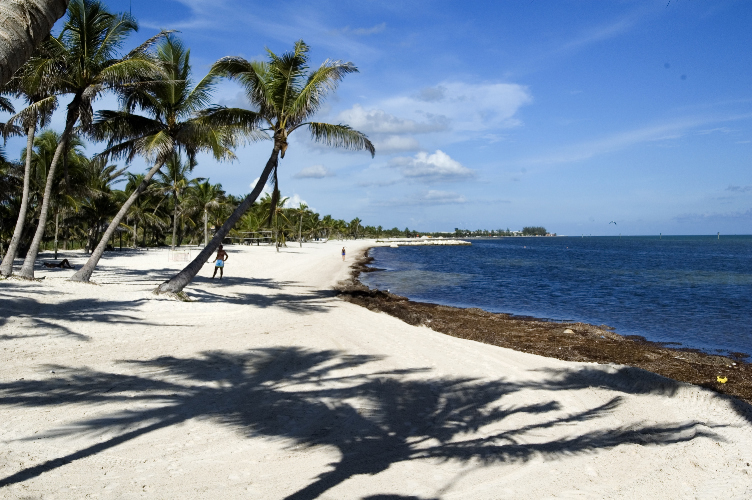 While you are enjoying a short stroll to Smathers Beach, your two cars can take a break in secure covered parking. 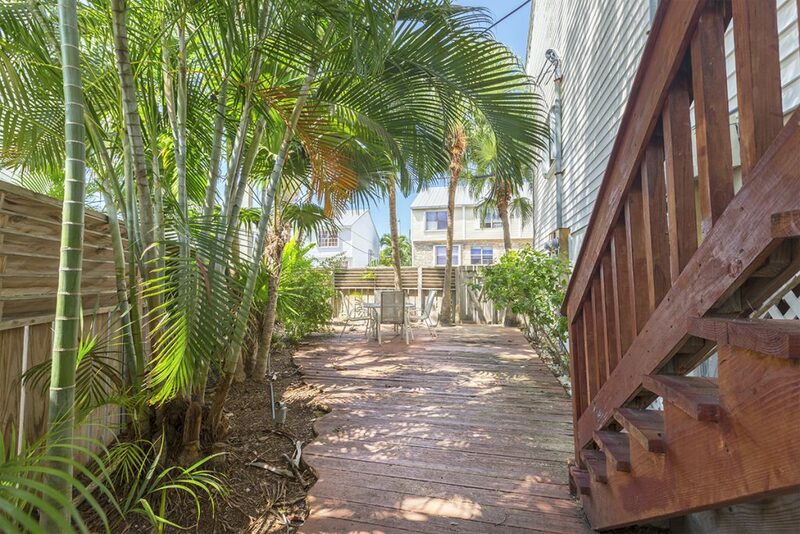 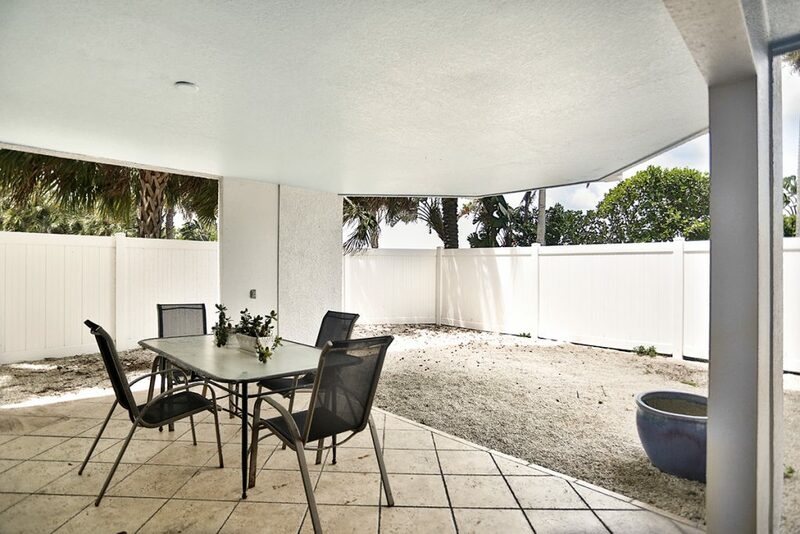 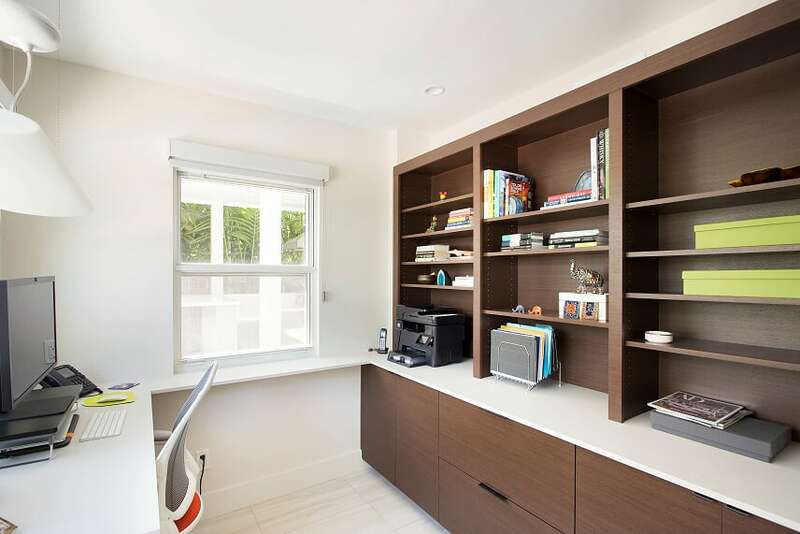 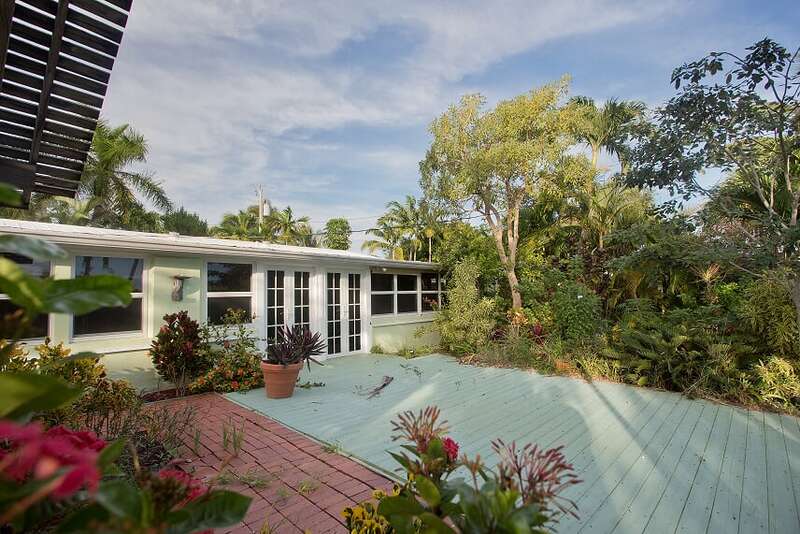 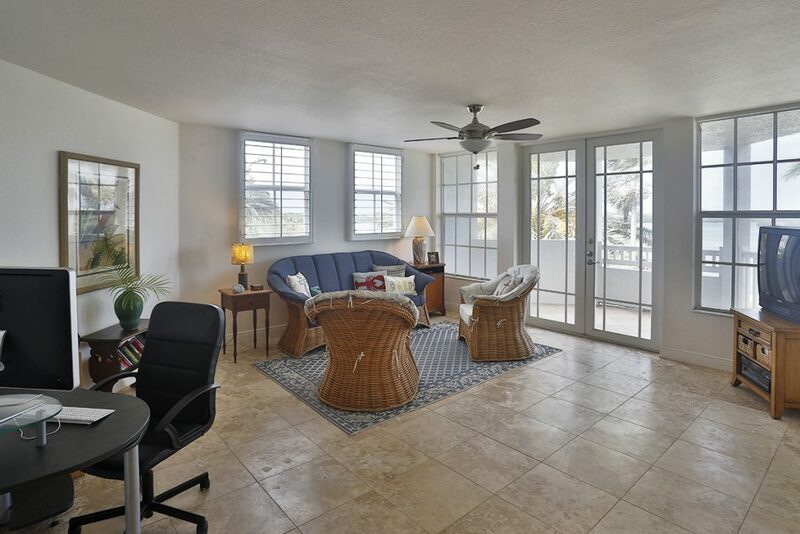 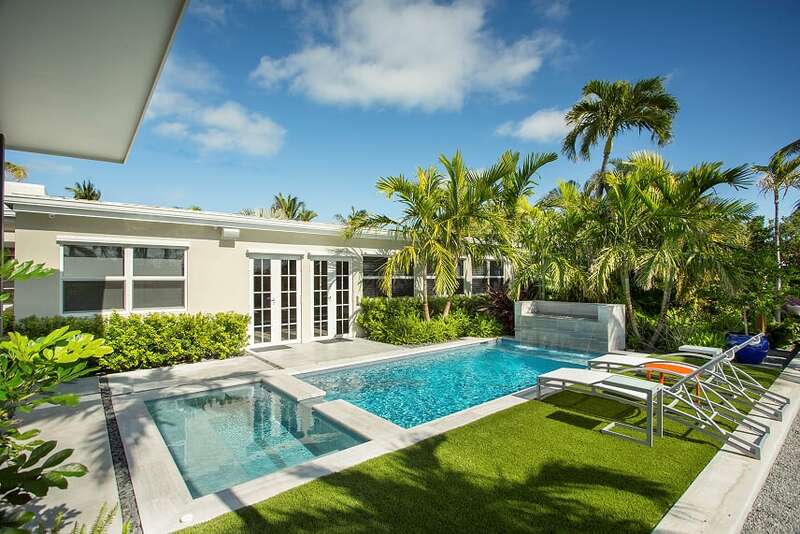 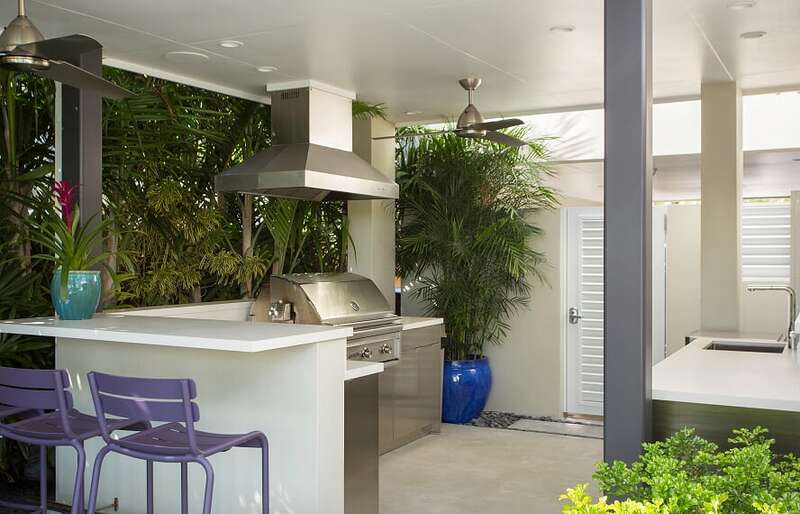 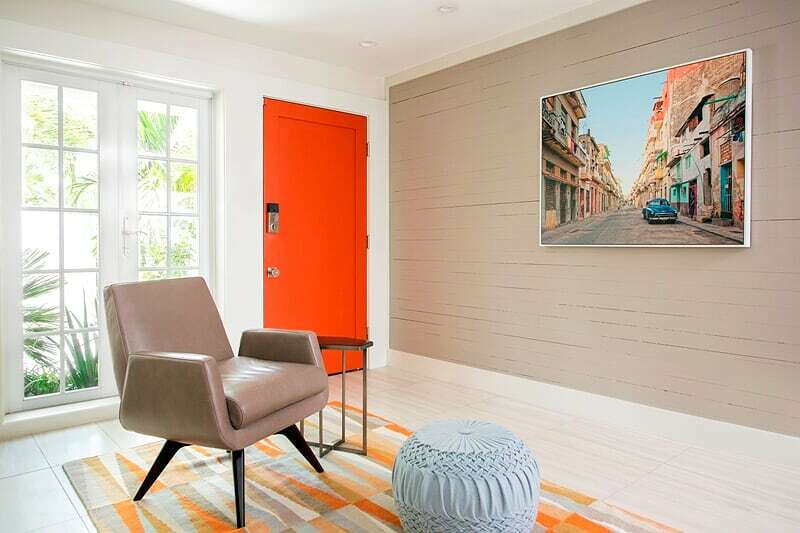 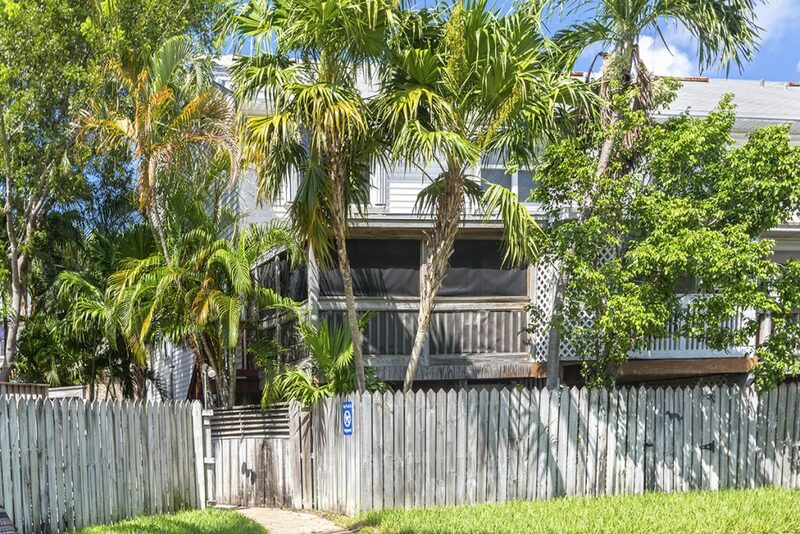 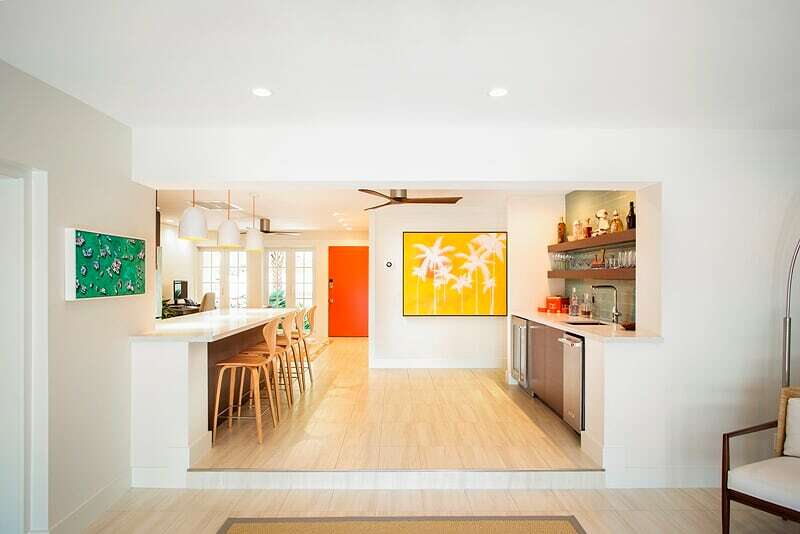 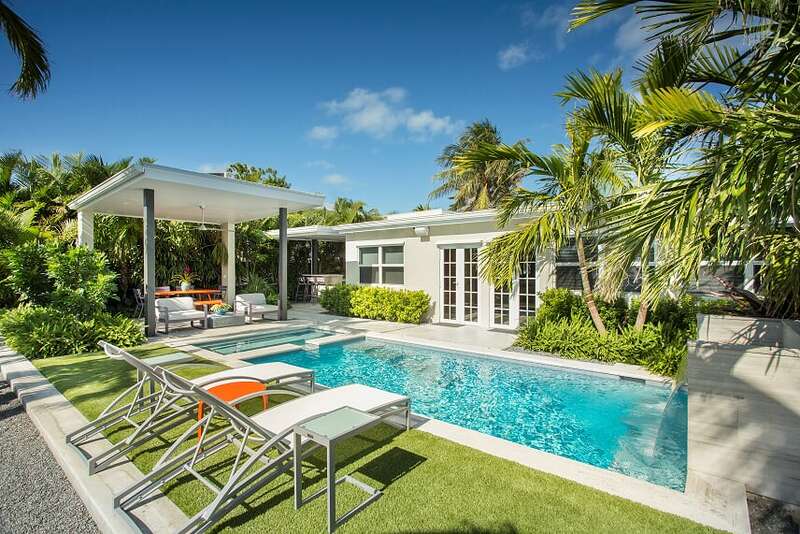 Constructed in 2004, on a 4,625 square foot lot, this Midtown family home is priced to sell at $989,000.—a real Key West value at under $370.00 a square foot. 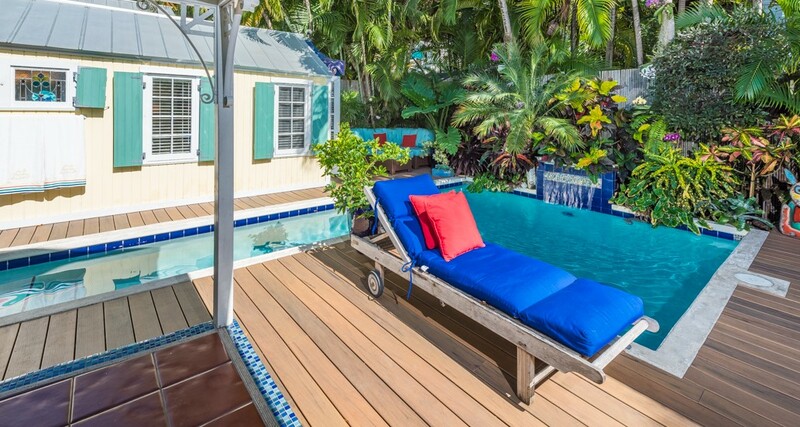 We would love to give you a private tour of this spacious Key West vacation home. 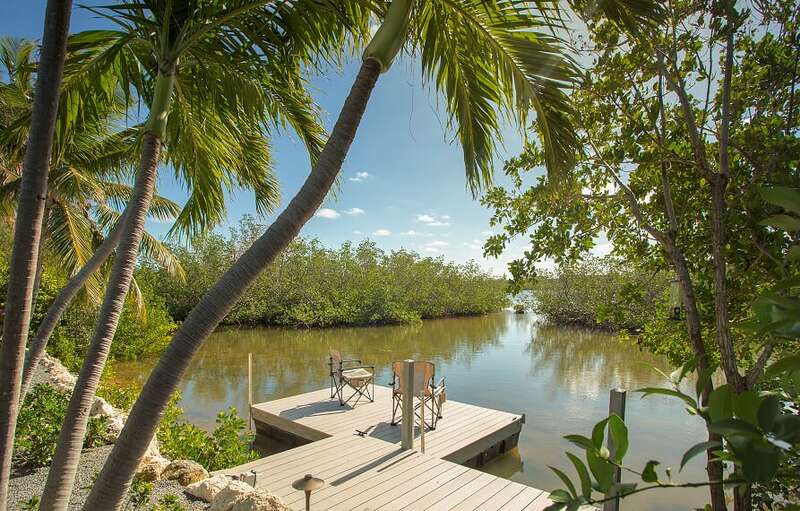 It just might be the piece of heaven you have been dreaming of. 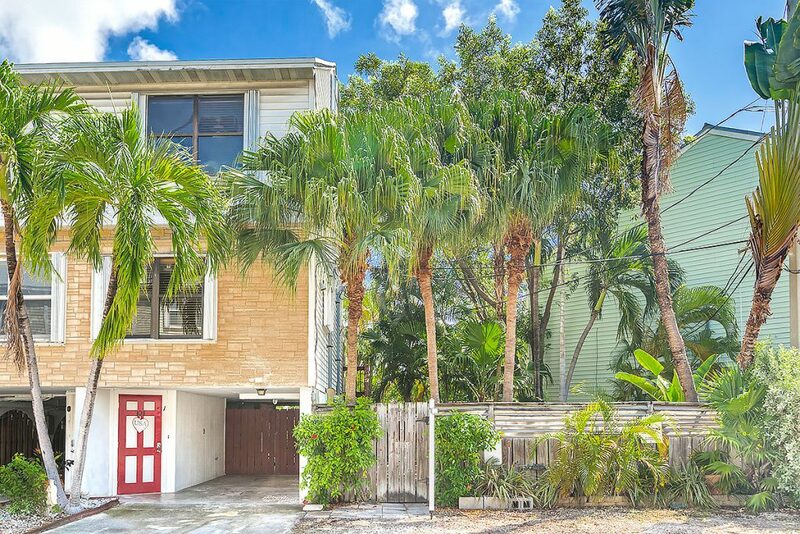 This entry was posted in Homes We Love, Key West Real Estate and tagged Florida Keys, homes, Key West, key west real estate, Midtown Key West, pools, real estate on September 1, 2017 by Dean. 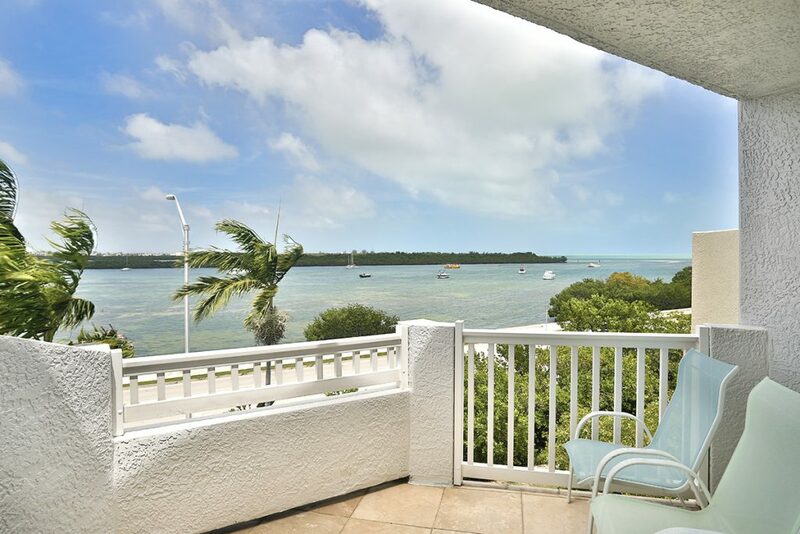 53 Seaside South Court, Key West, FL 33040—SOLD $842,400. 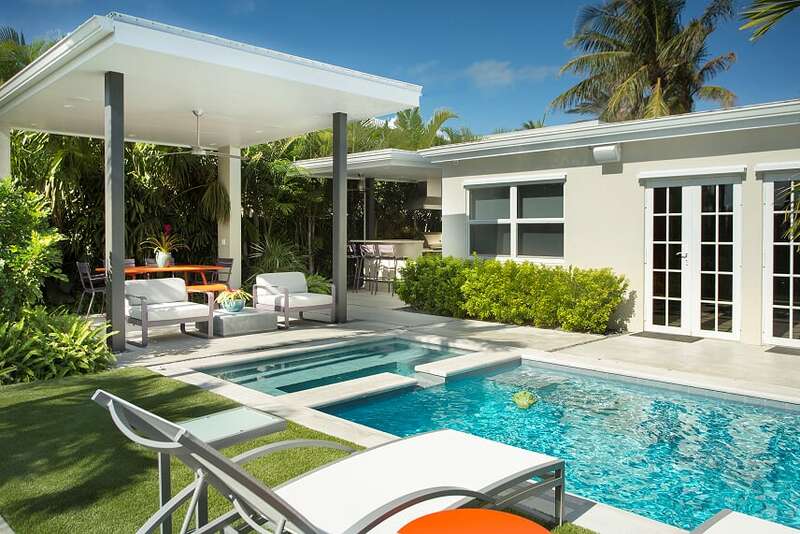 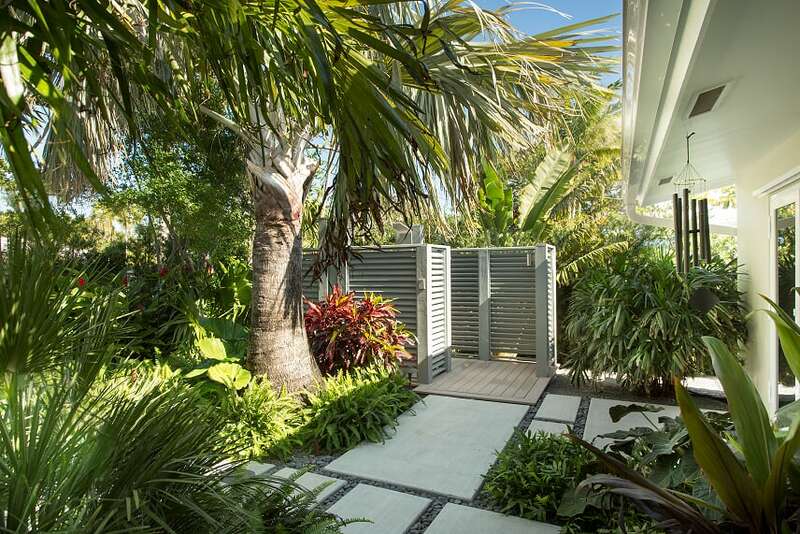 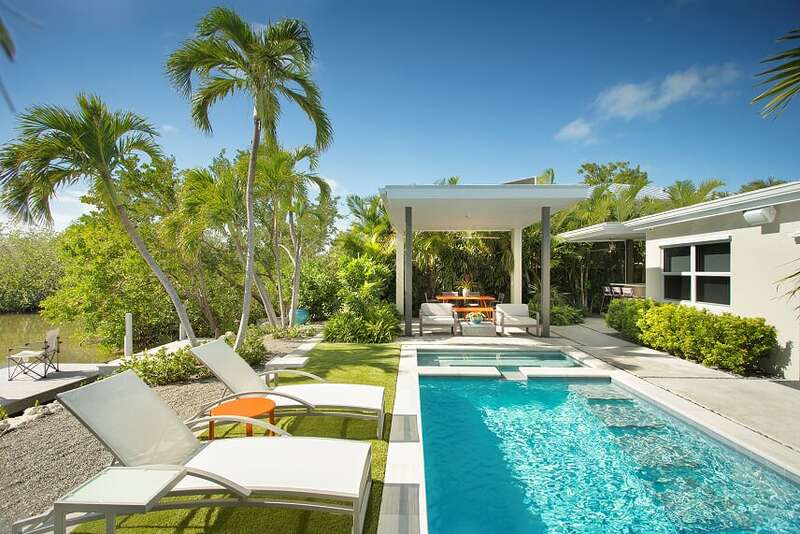 Escape to the best of modern island living in this spacious Key West family retreat. 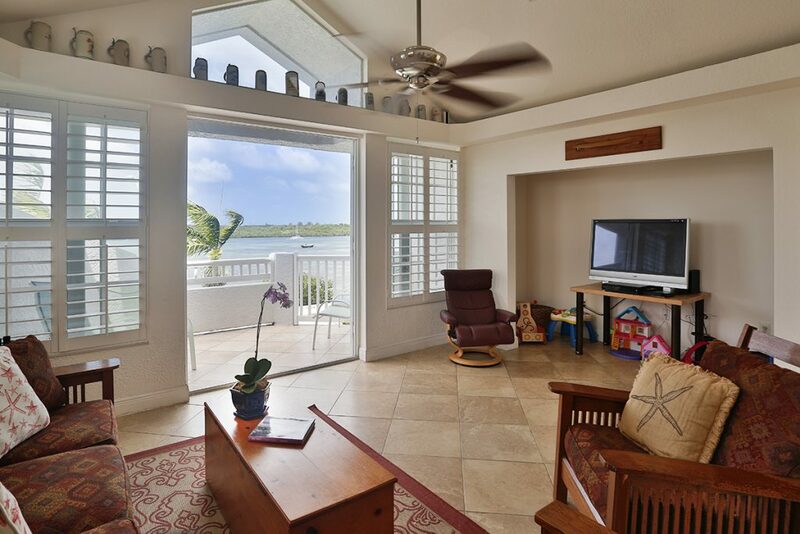 Enjoy tranquil sunrises, unforgettable sunsets, and spectacular ocean vistas from four levels of this light-filled home. 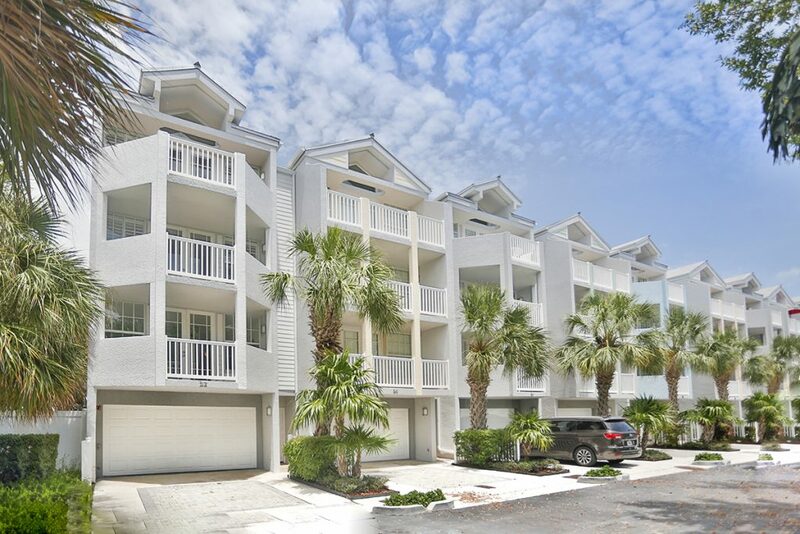 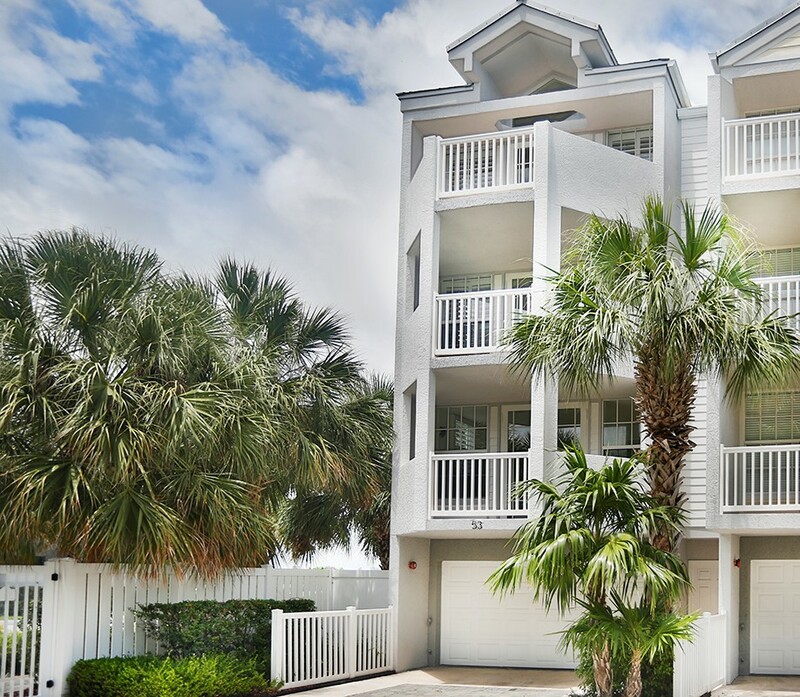 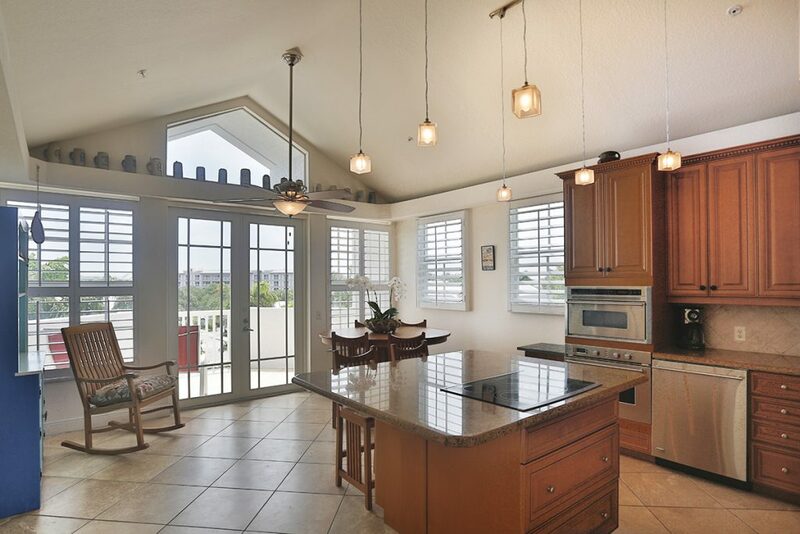 This move-in-ready, three bedroom/four bath, 2,736 square foot, end unit townhome might be the Key West vacation home you’ve been dreaming of. 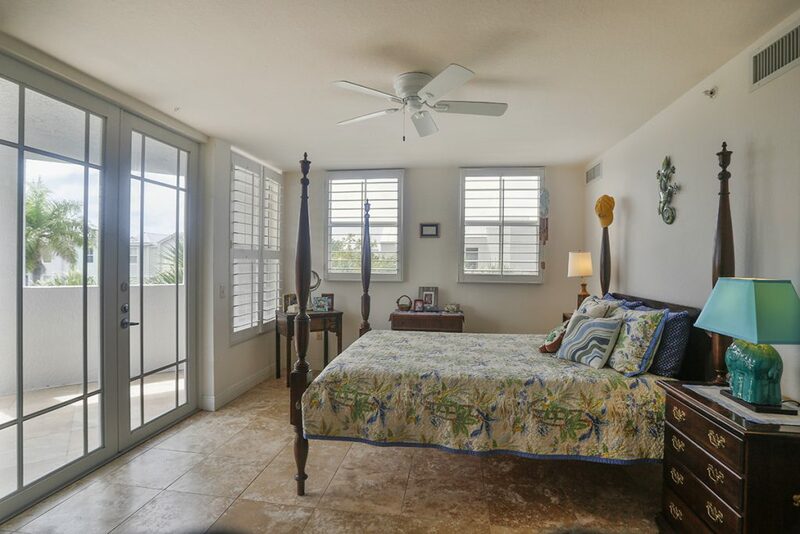 Vaulted ceilings, lots of windows, two balconies, and spectacular sea views make the fourth level living spaces unforgettable. 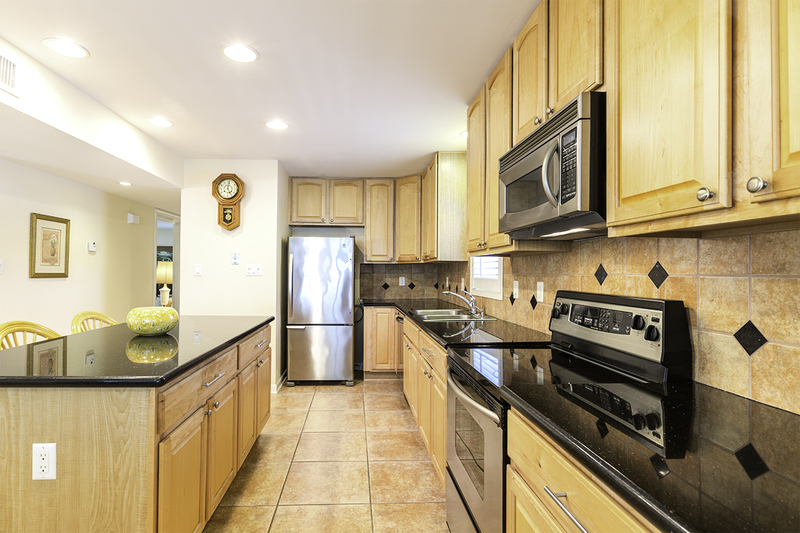 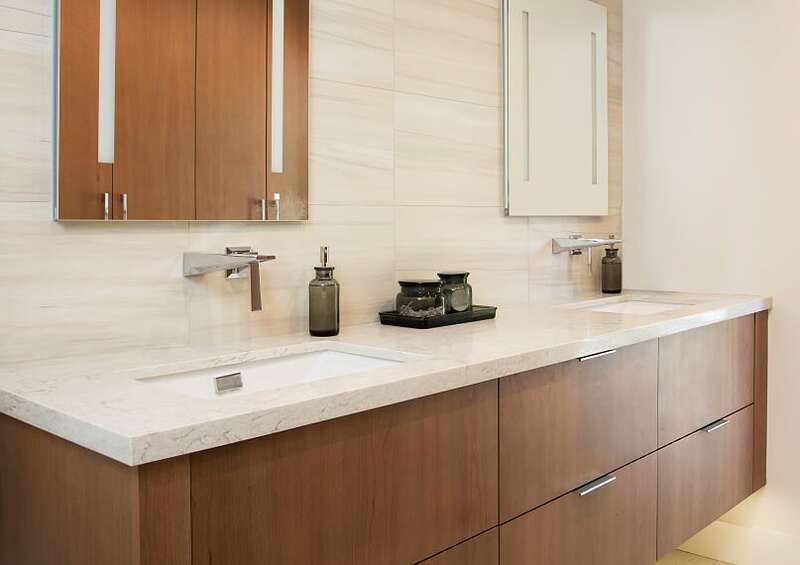 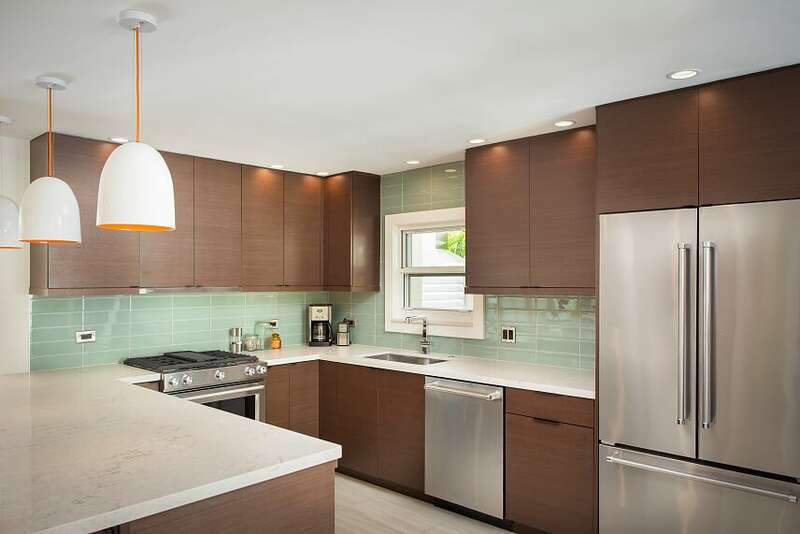 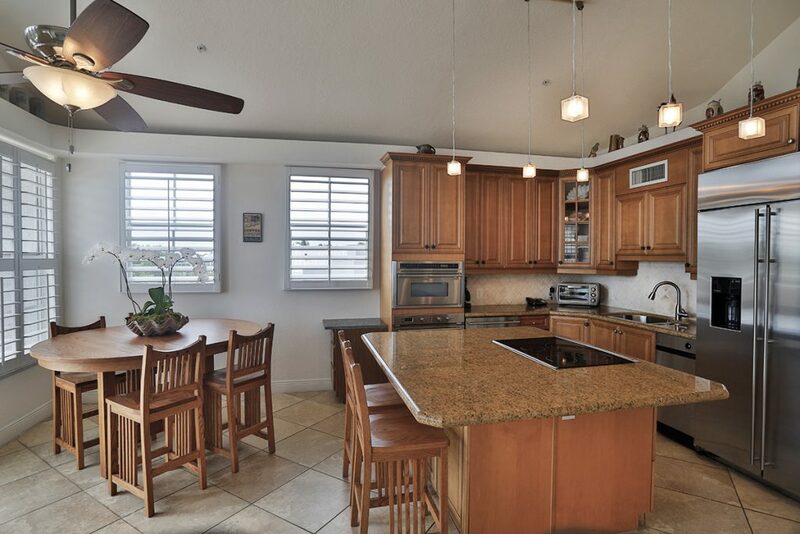 The high-end kitchen features granite countertops, top-of-the-line appliances, and custom cabinets. 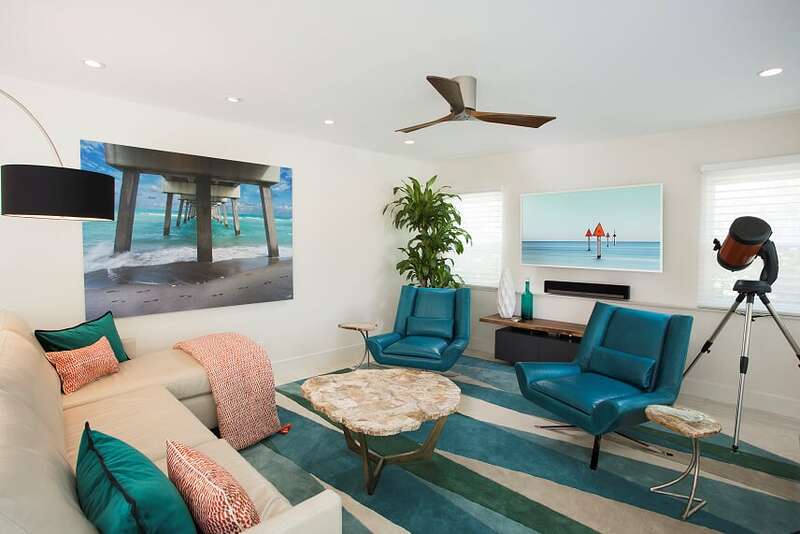 The light-filled great room flows to a sunny balcony with an amazing ocean vista. 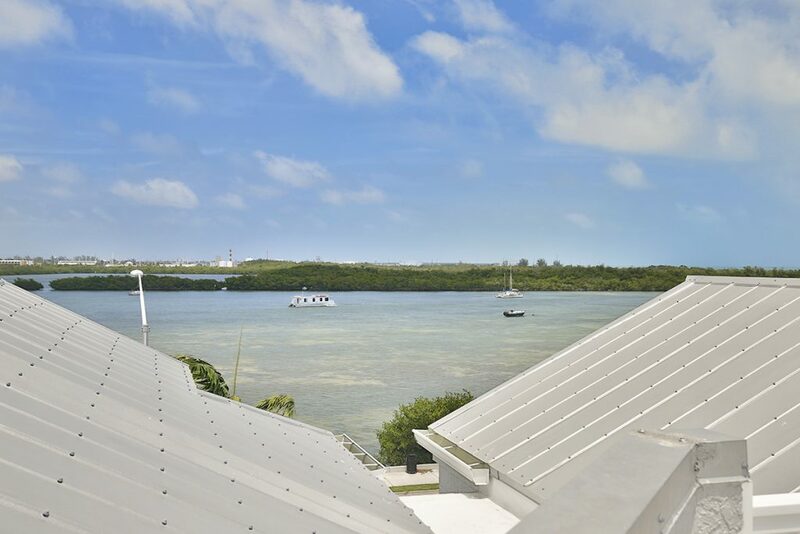 Breathtaking 360 degree views of the island and sea make the rooftop deck the place to celebrate the sunset. 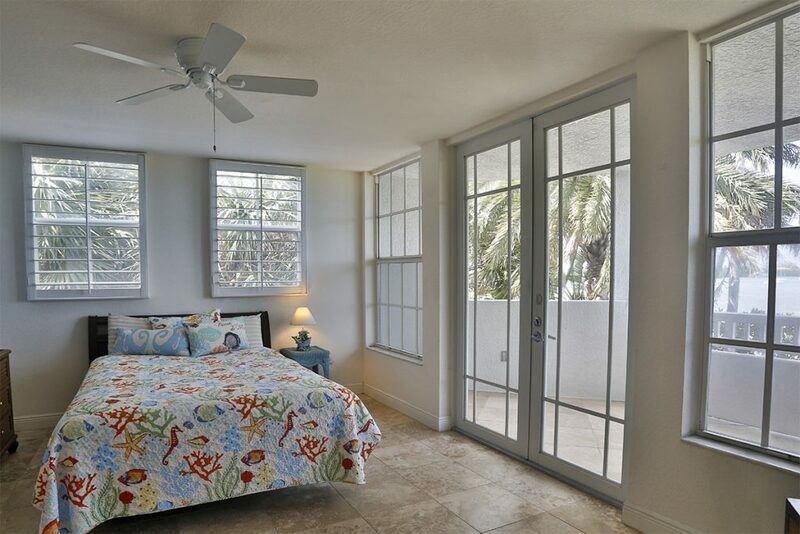 The master suite encompasses the third level with a separate living room, two balconies, and gorgeous ocean views. 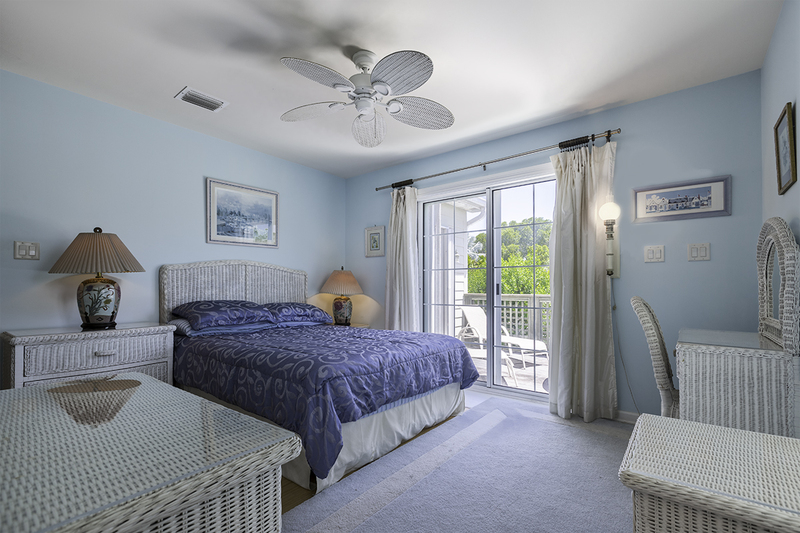 The second level features two en suite bedrooms with beautiful water views, generous closets, and private balconies. 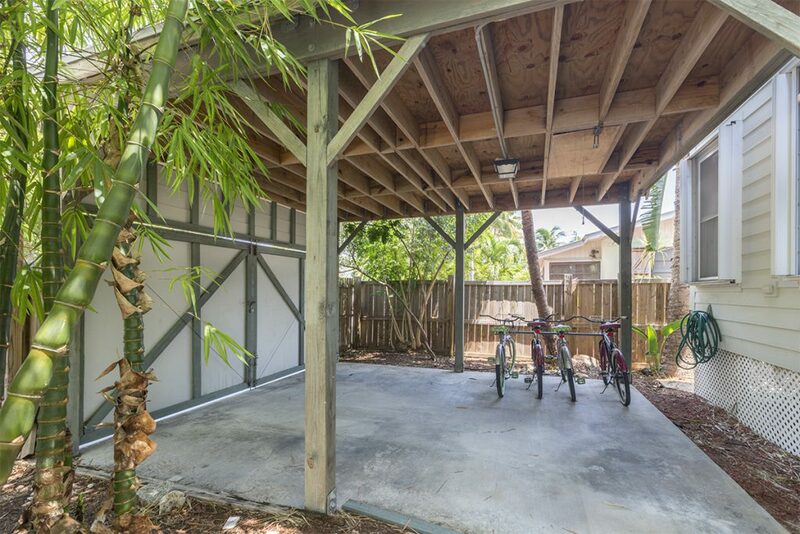 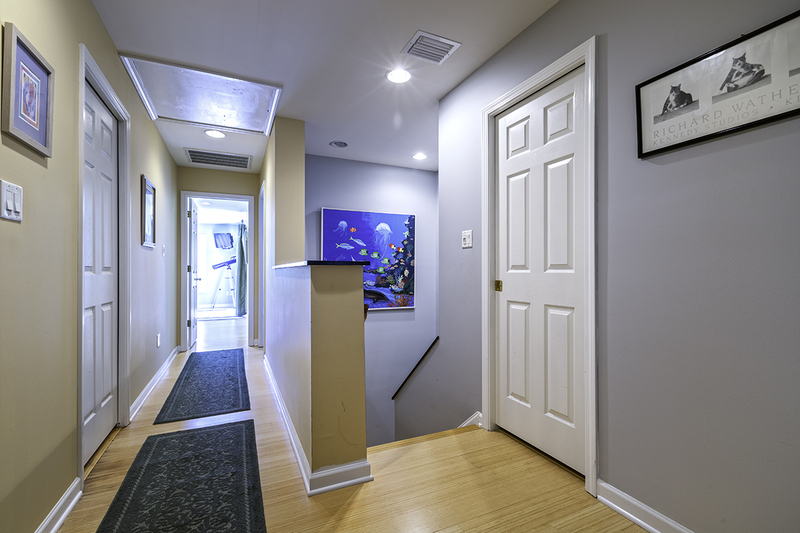 The ground level offers a private driveway with parking for two cars, two-car garage, entry, personal elevator, stairs, laundry room, storage, covered patio, and fenced backyard. 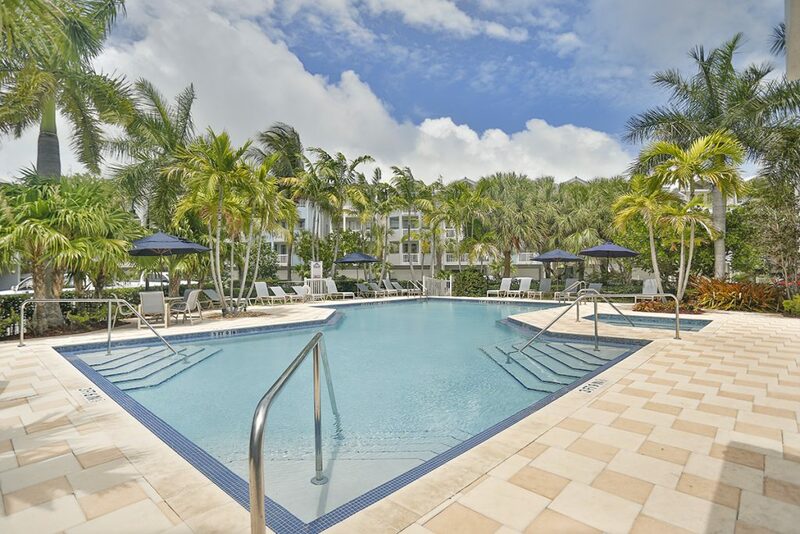 Located on the eastern end of the island, 53 Seaside South Court is part of the Key West Seaside Residences: a secure, gated, HOA community offering two beautiful resort-style swimming pools, a clubhouse, and a fitness room. 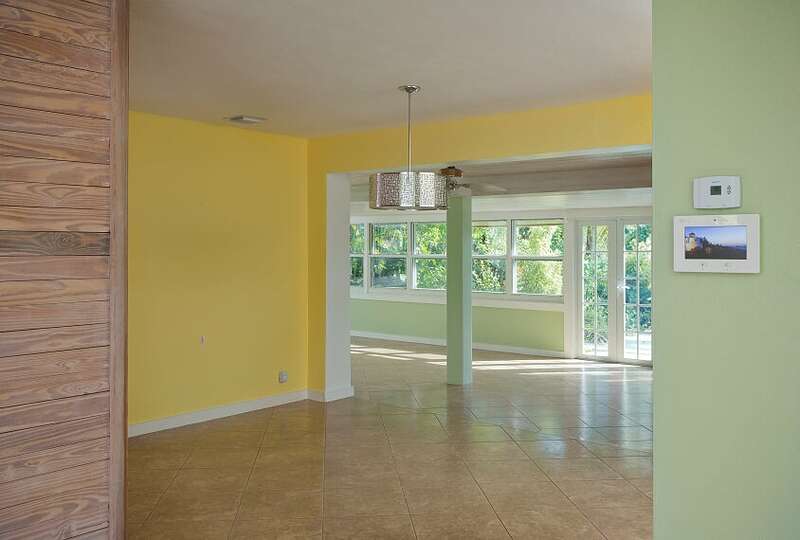 The home was constructed in 2005 with superior poured concrete construction, metal and membrane roof, and impact resistant windows and doors. 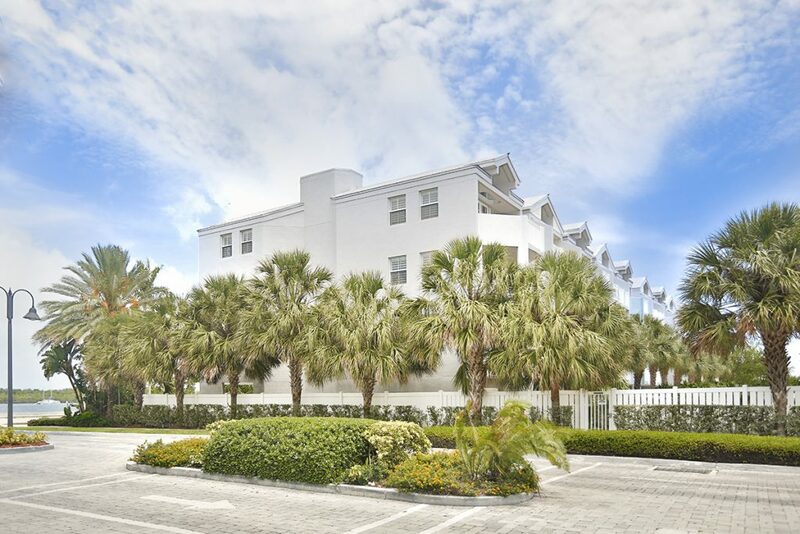 Across scenic A1A from the waterside Key West Promenade, you will enjoy easy walking and biking access to world famous Smathers Beach and beyond. 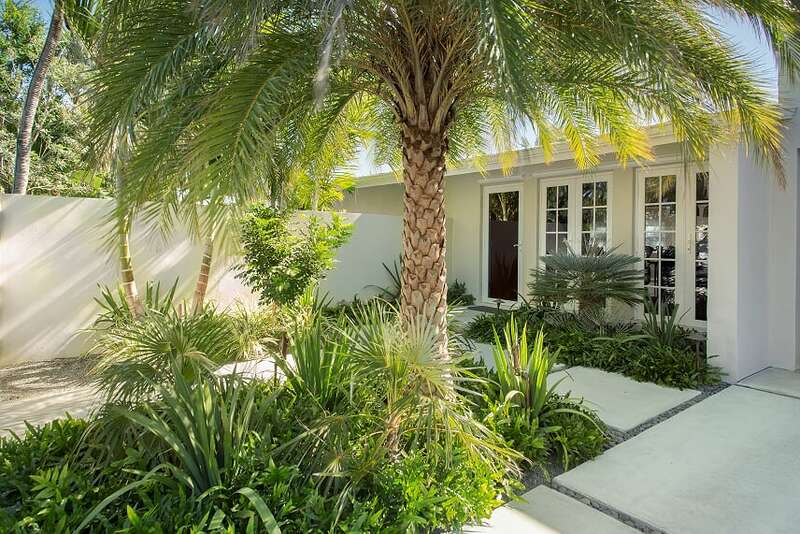 At the height of the market in 2006, the home was offered for sale at $2,500,000.00. 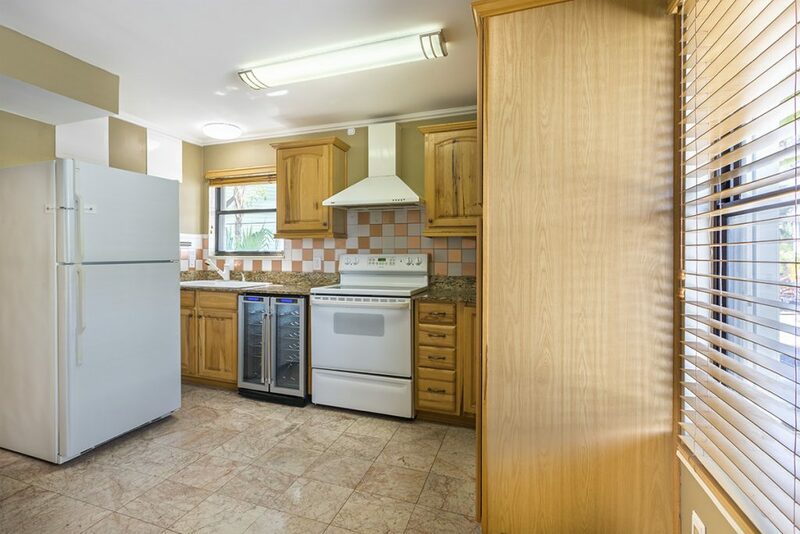 Today, with an asking price of $849,000.00—and a low price per square foot of $310.30—this move-in-ready family home is not-to-be-missed. 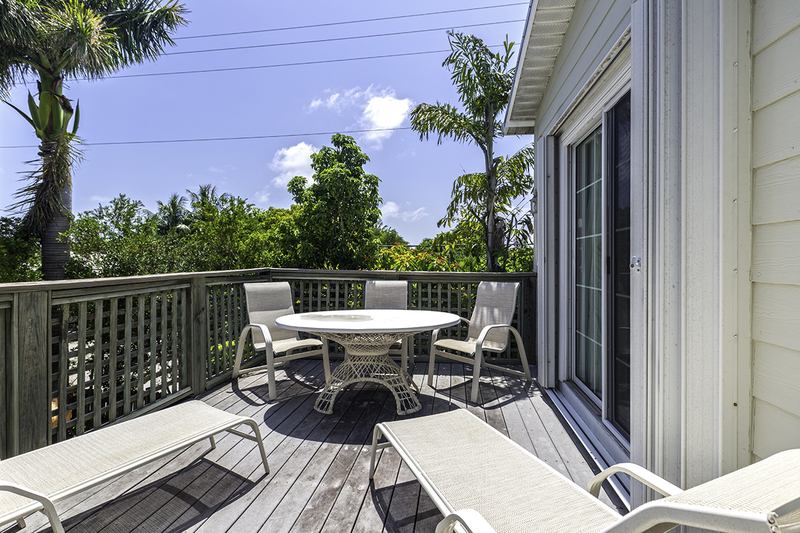 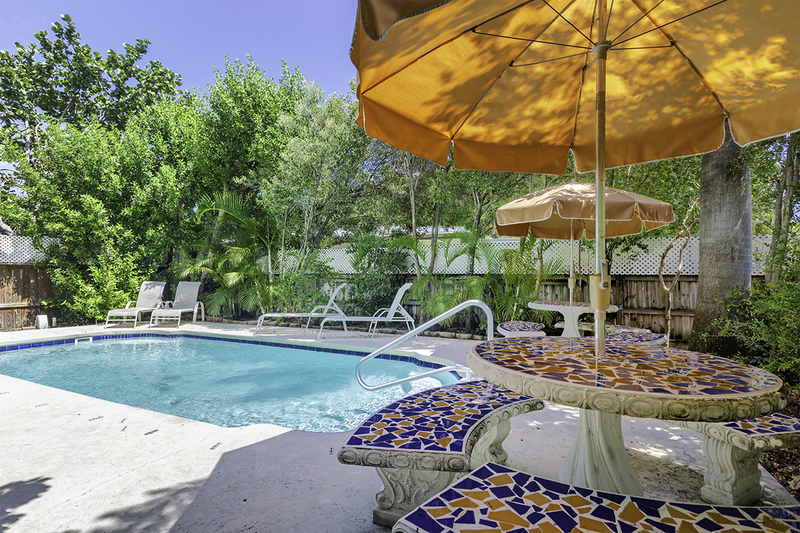 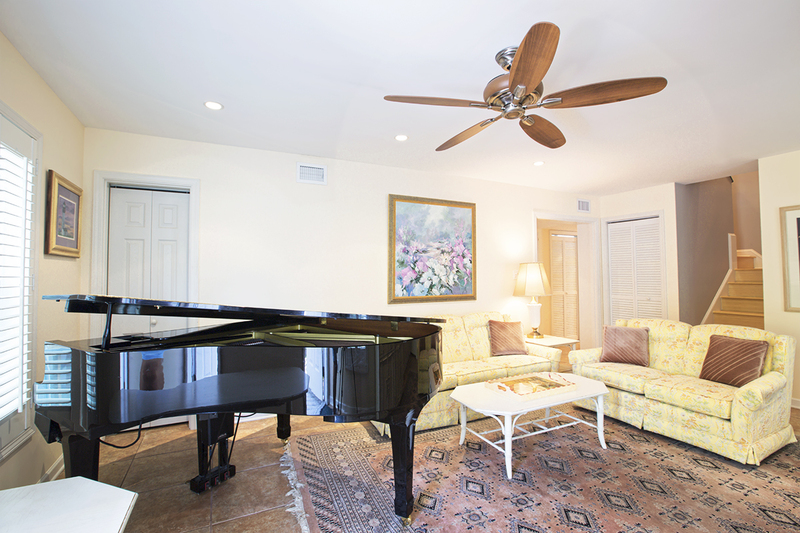 Click here to enjoy a virtual tour of this wonderful Key West family retreat. 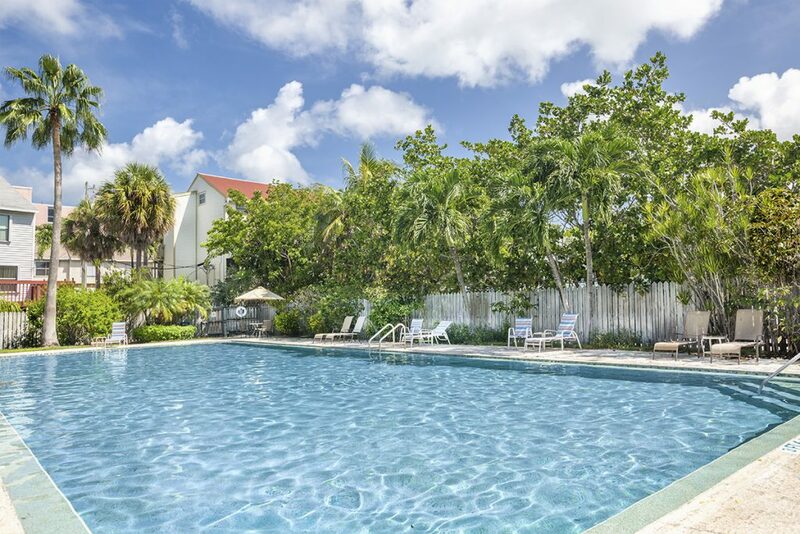 This entry was posted in Homes We Love, Key West Real Estate and tagged A1A Coastal Byway, Florida Keys, homes, Key West, Key West Gated Community, key west real estate, Key West Seaside Residences, pools, real estate, Seaside Townhome on June 22, 2017 by Dean. 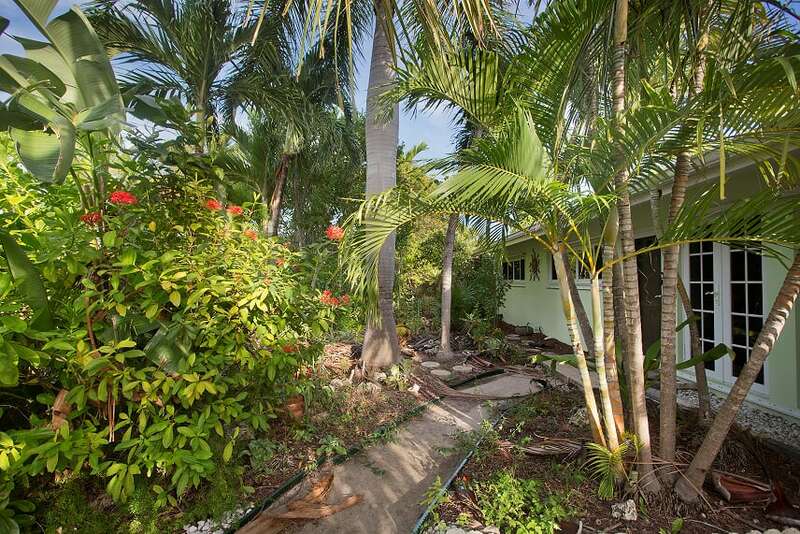 1010 Elgin Lane, Key West, FL 33040—SOLD $1,200,000. 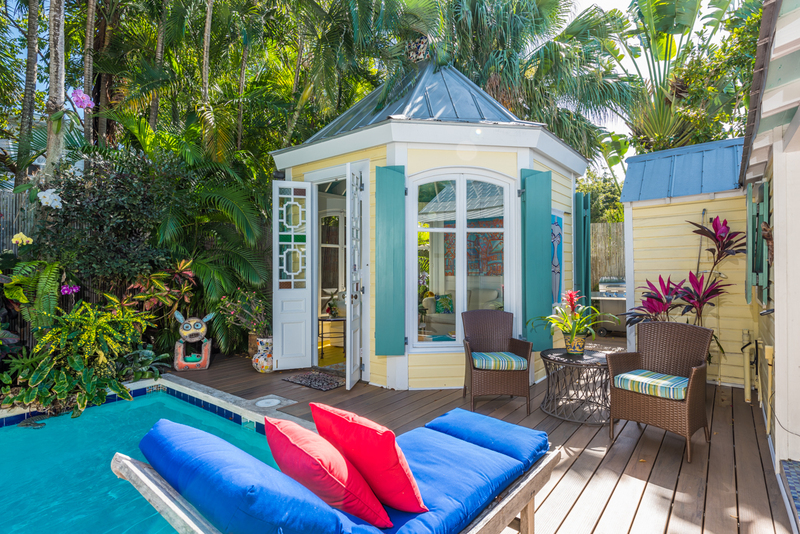 Among the sweetest perks of selling Key West real estate are the array of invitations, to tour the island’s hidden treasures, that come across our desks. 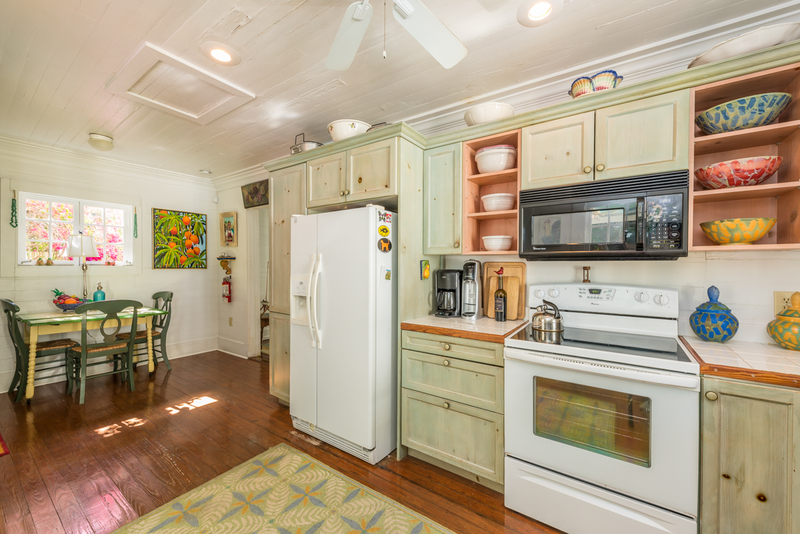 After experiencing the captivating cottage at 1010 Elgin Lane, we felt like we had discovered a pot of gold. 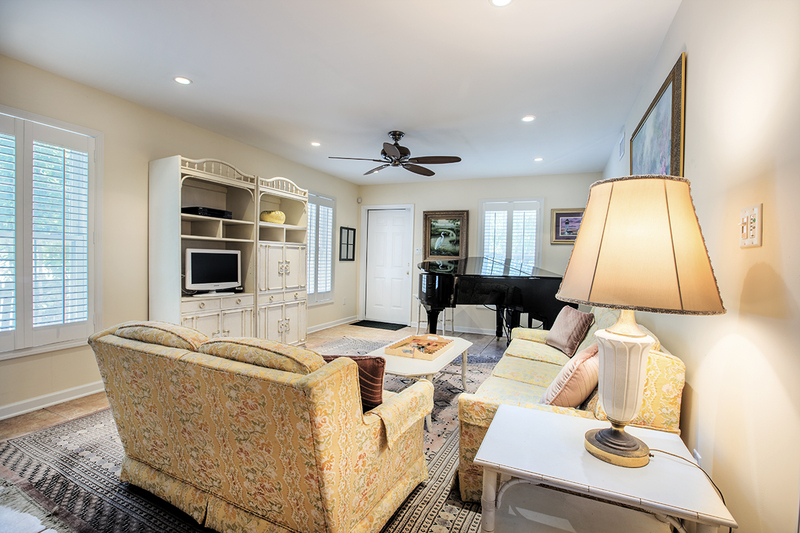 Tucked away on a hidden Old Town lane, this historic, 3 bedroom/3 bath, property can best be described as personality plus. 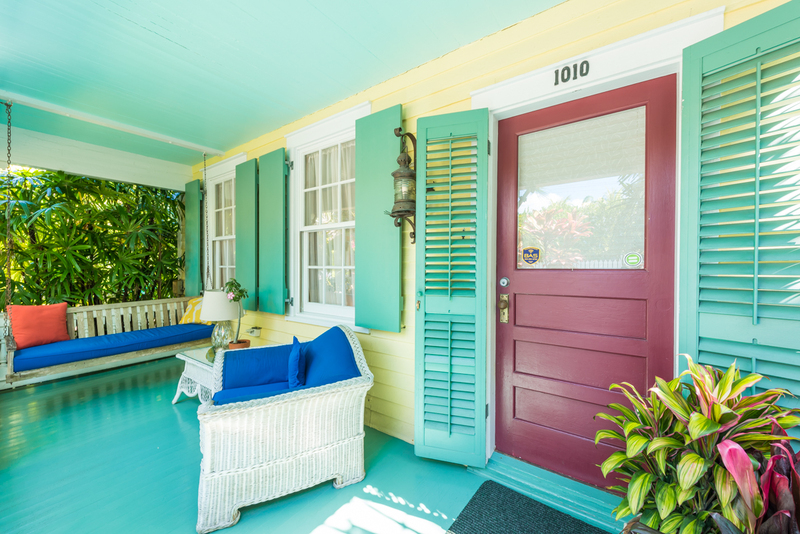 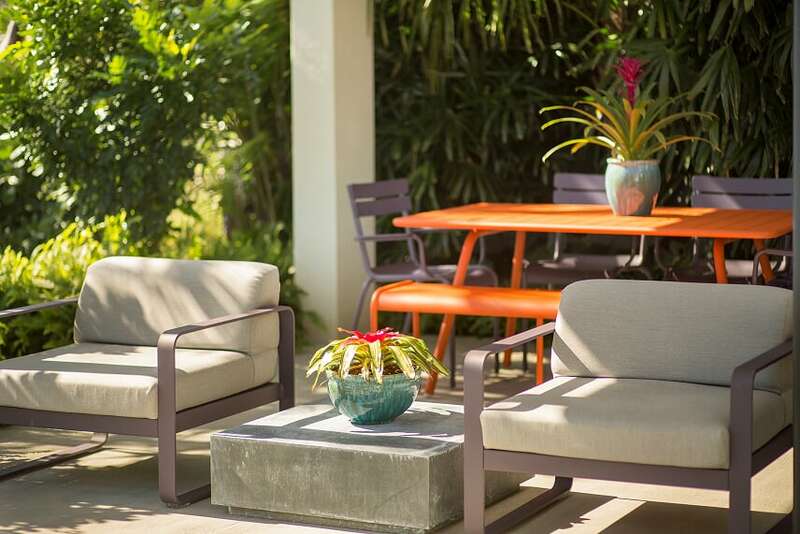 With quintessential Key West curb appeal and a front porch tailor-made for whiling away the hours, the home lays out an unforgettable welcome mat. 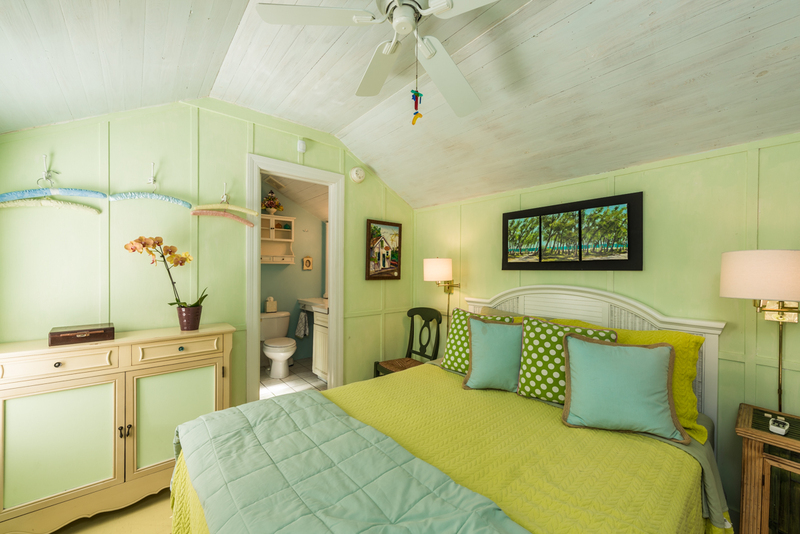 Crossing the threshold, one is immediately struck by the cottage’s storybook charm. 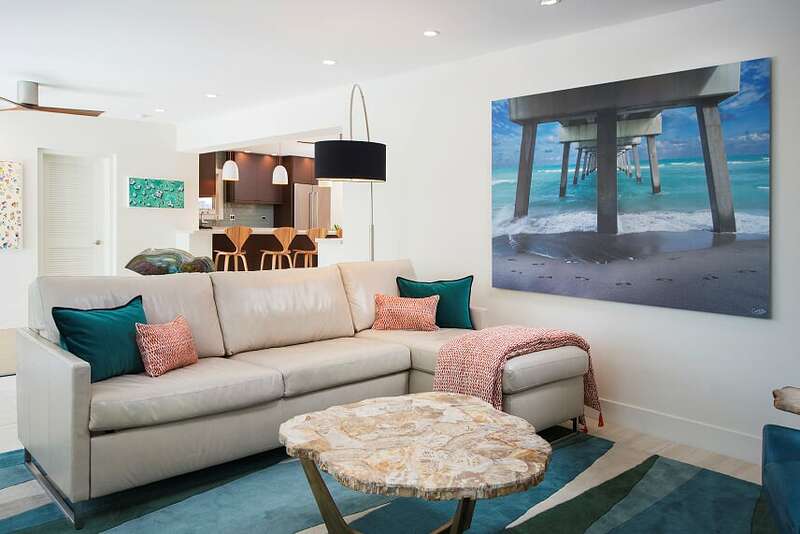 The art-filled living room lends itself to whispered confidences and joyous celebrations. 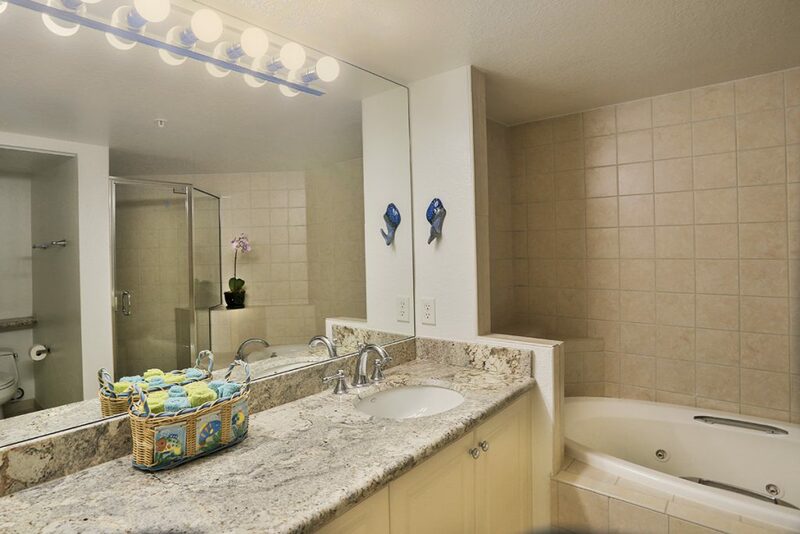 Wonderful artistic details delight at every turn. 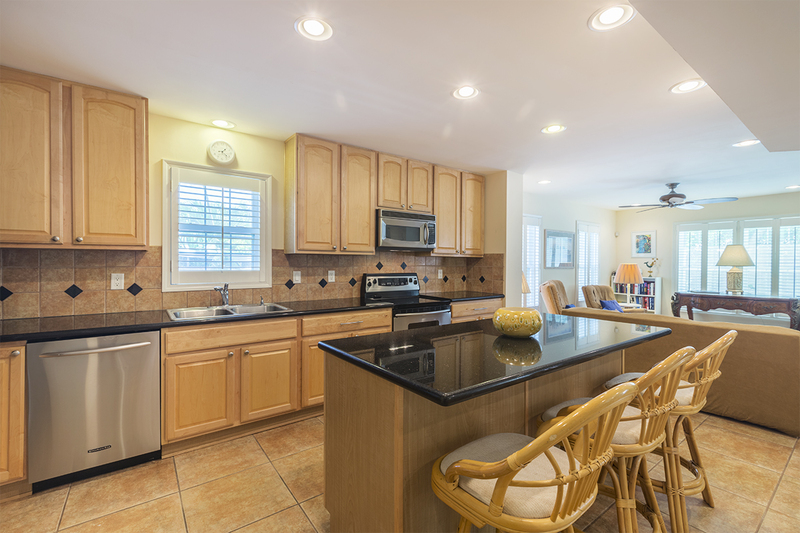 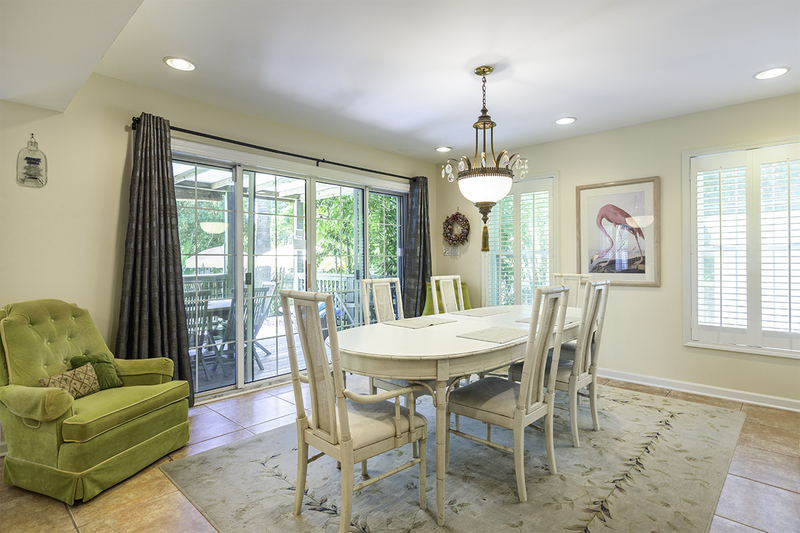 The generous, cottage-style, eat-in kitchen offers views of the beautiful garden and pool. 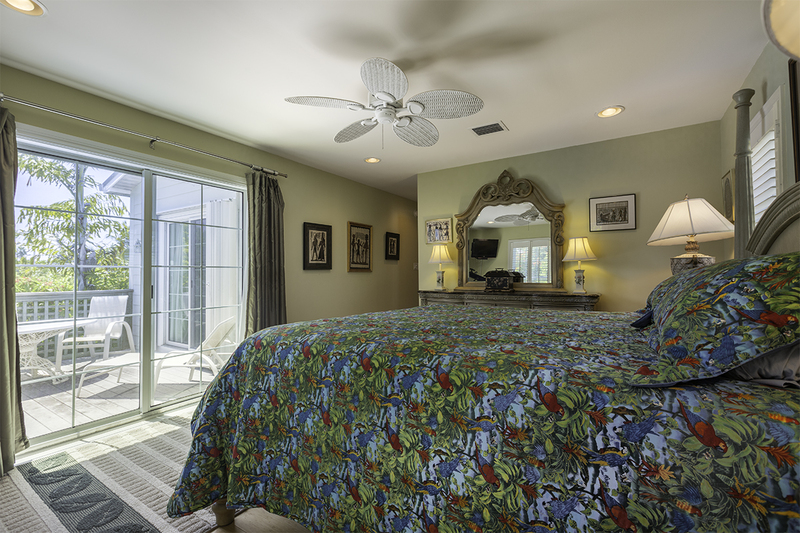 Downstairs, the master bedroom and adjoining sitting room are awash with dappled light. 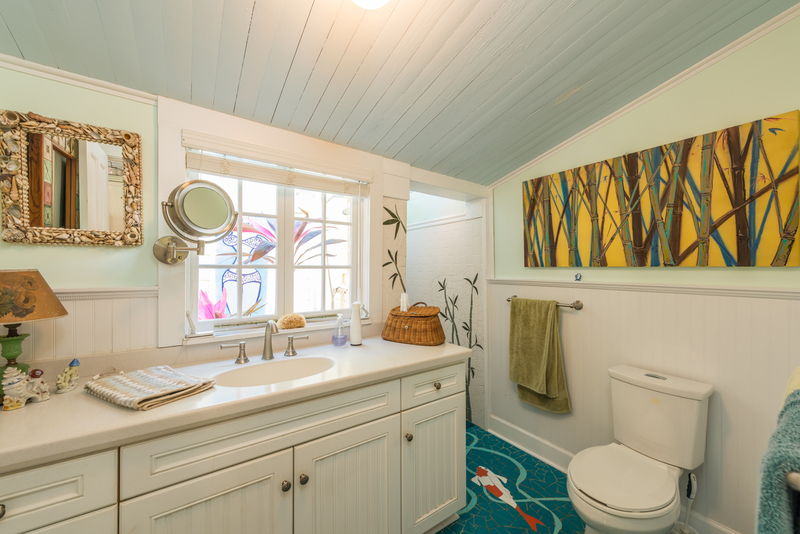 Custom features create a tropical island paradise in the home’s main bath. 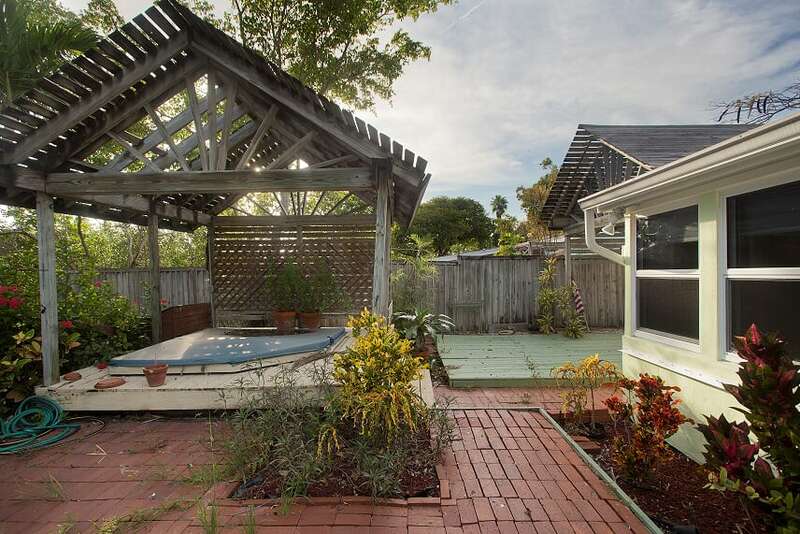 Born from a childhood fantasy, an enchanting secret garden awaits in the backyard. 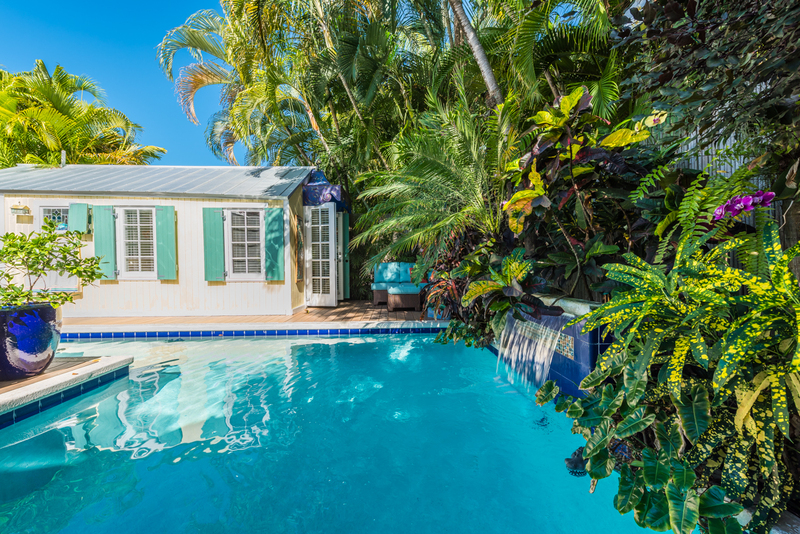 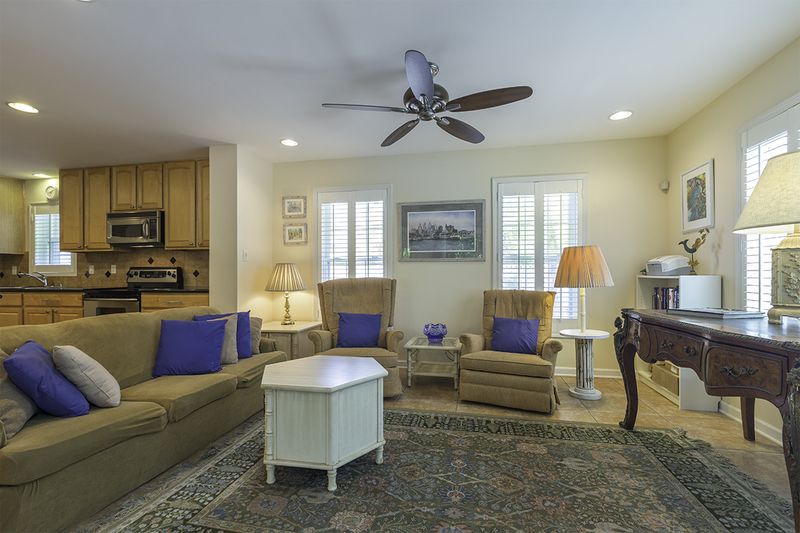 Guests will long to stay forever in the coastal guest cottage overlooking the sparkling pool. 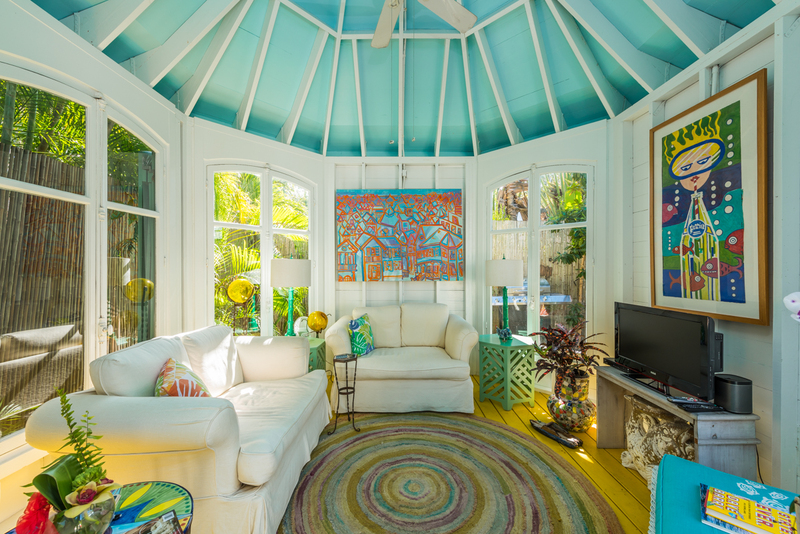 Reminiscent of a British architectural folly, or a New England summer house, the unforgettable octagonal pavilion offers a peaceful retreat from the world’s cares. 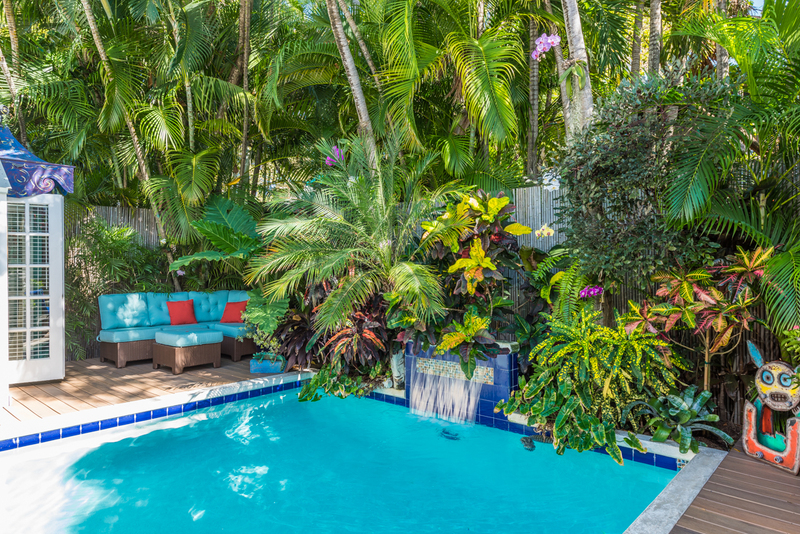 Undoubtedly, the magical island escape at 1010 Elgin Lane has captured our hearts. 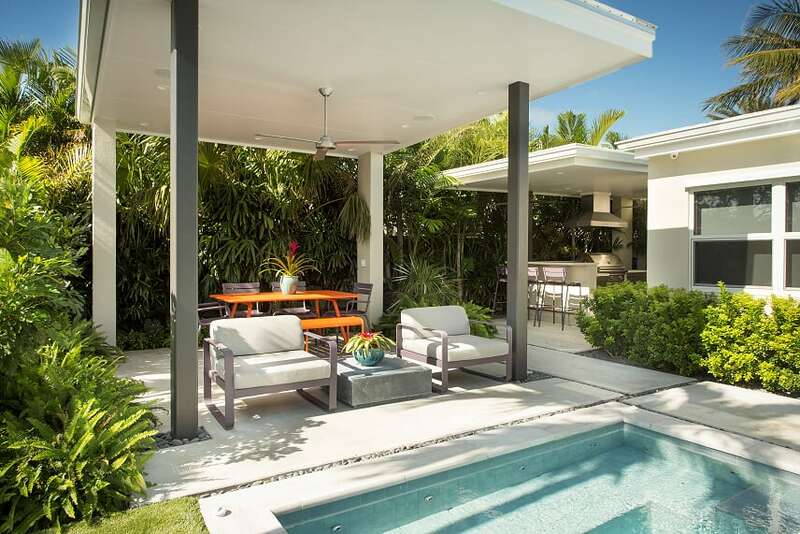 We bet you will fall in love with this not-to-be-missed home as well. 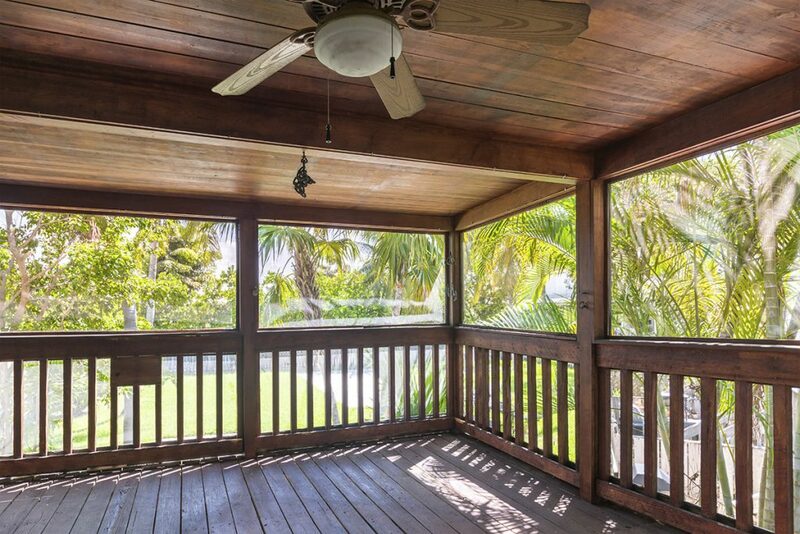 This entry was posted in Homes We Love and tagged cottage style, Florida Keys, front porches, gingerbread, homes, Key West, Key West cottage style, Key West cottages, Key West hidden lanes, Key West history, Old Key West, Old Town, Old Town Key West, pools, real estate, tropical gardens, Victorian gingerbread on March 10, 2017 by Dean.